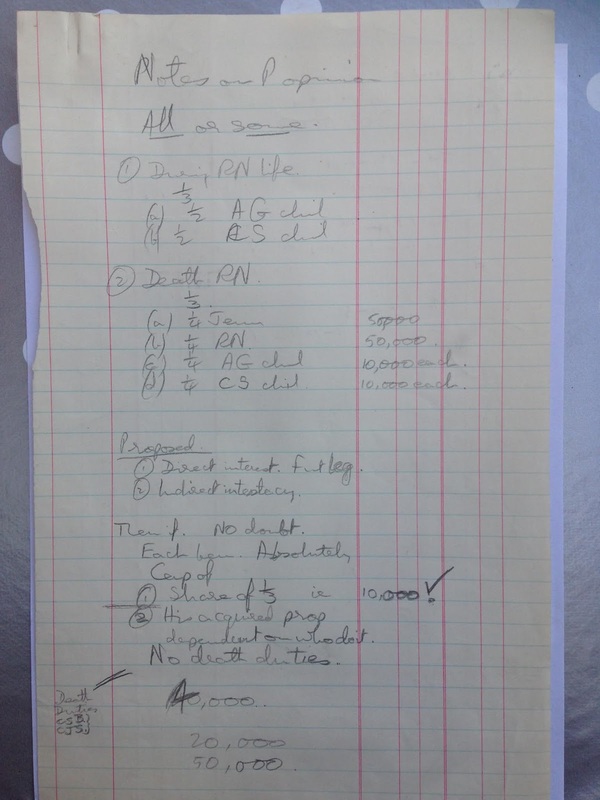 Solicitor to Martin Burch re Counsel's opinion. 25th September 1953. 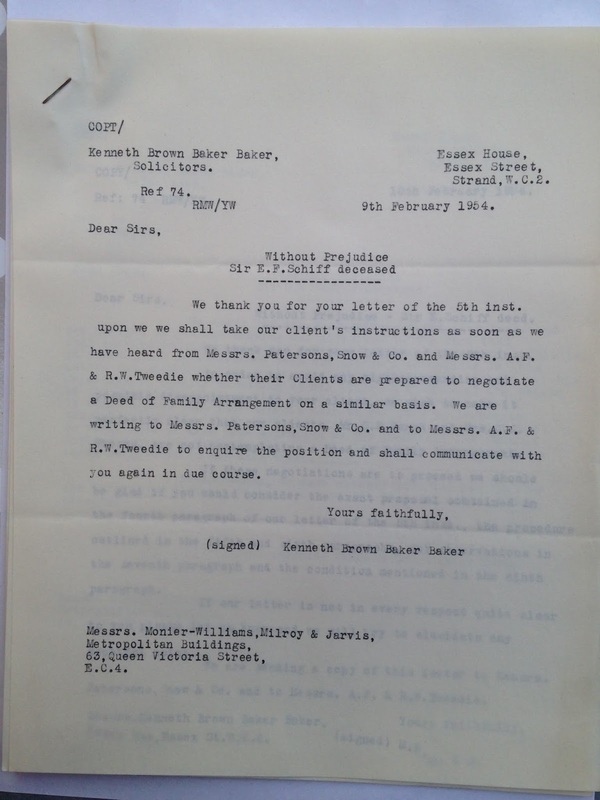 Solicitor for Martin Burch and Catherine Storrs to Richard Nöhring's solicitor. 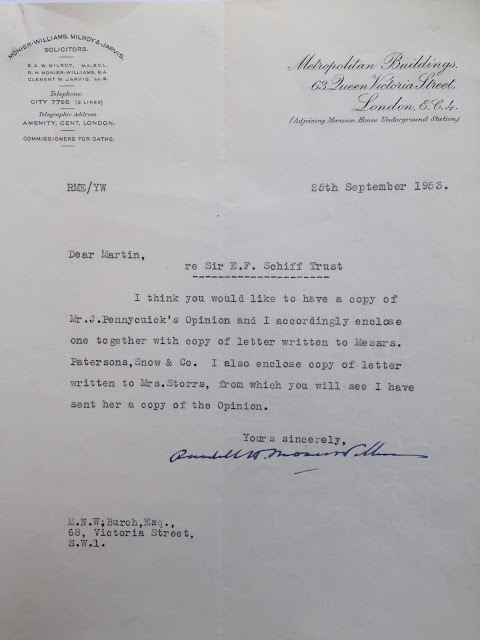 24th September 1953. 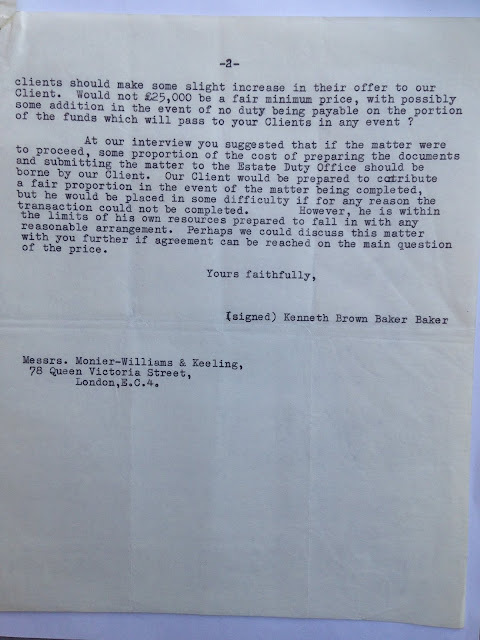 Covering letter from solicitor to Catherine Storrs re correspondence. 25th September 1953. 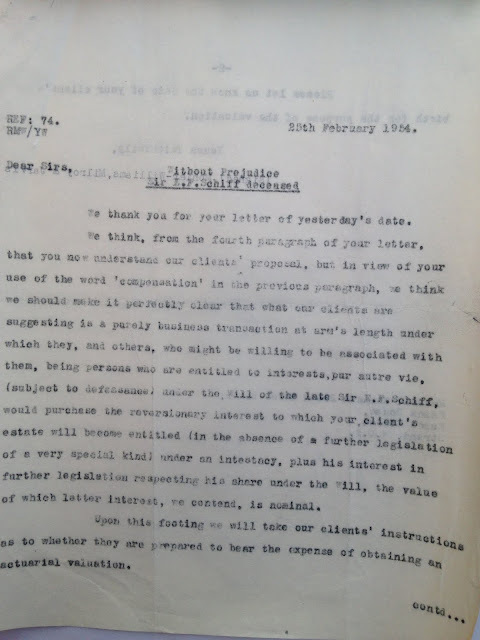 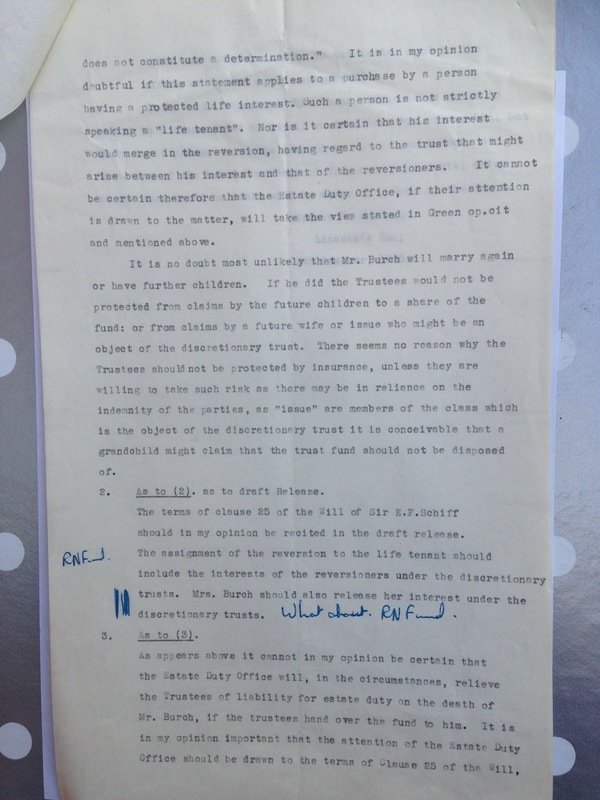 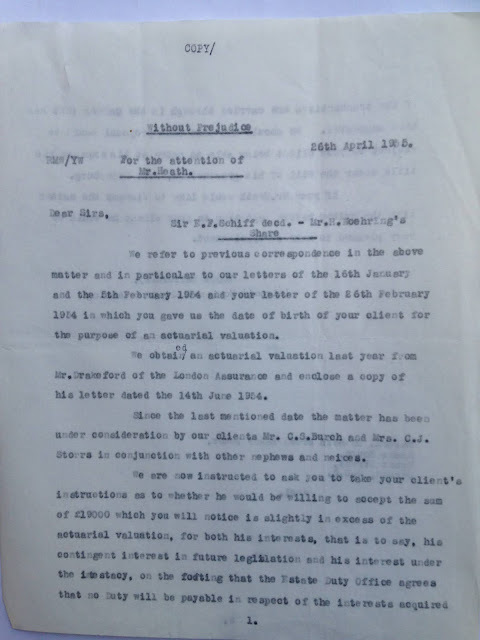 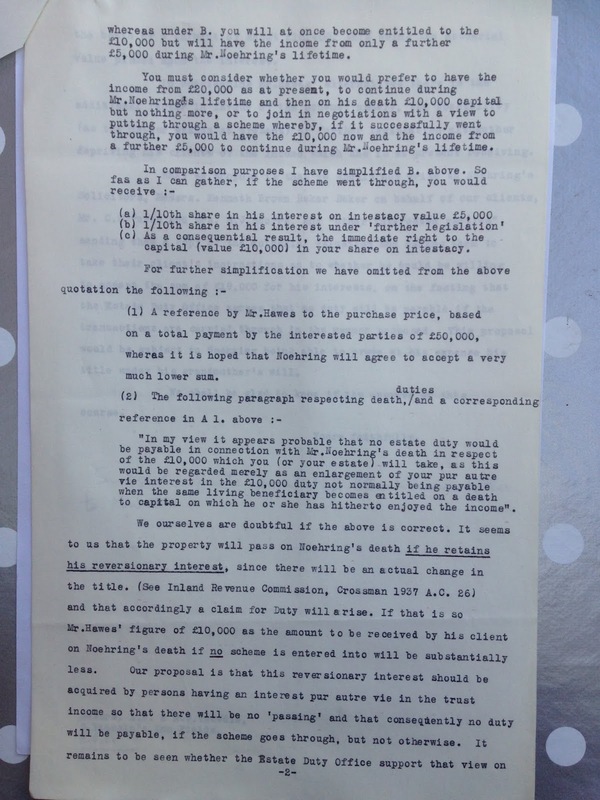 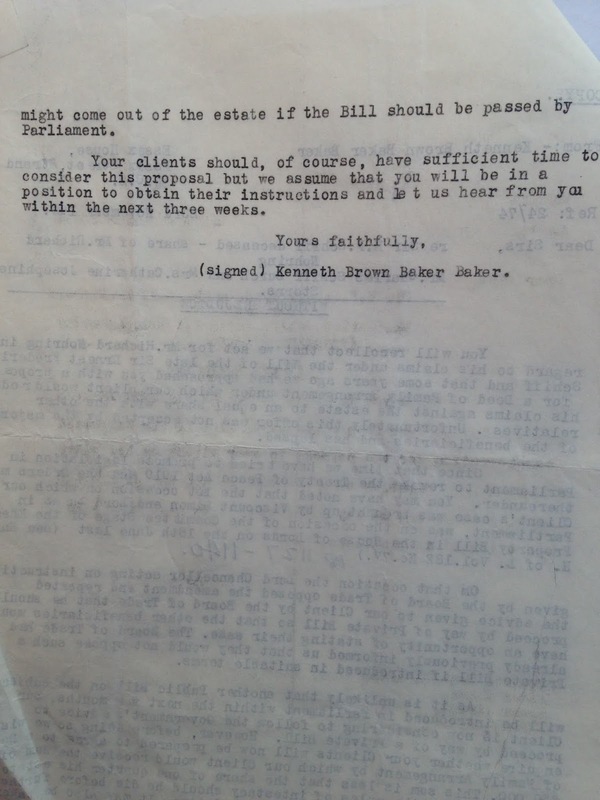 Solicitor's letter to Martin Burch. 26th November 1953. 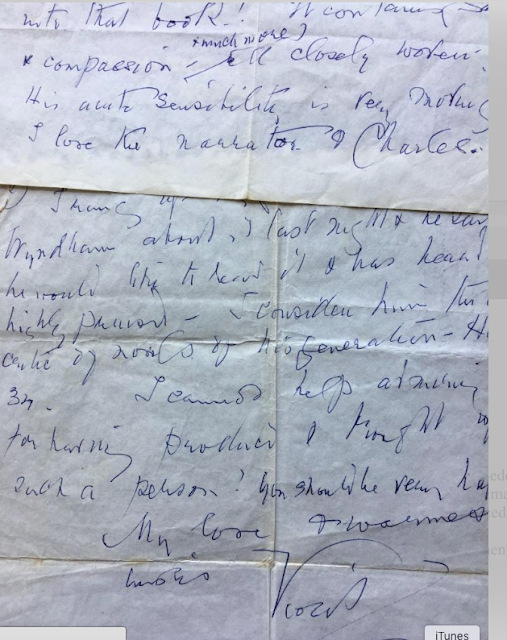 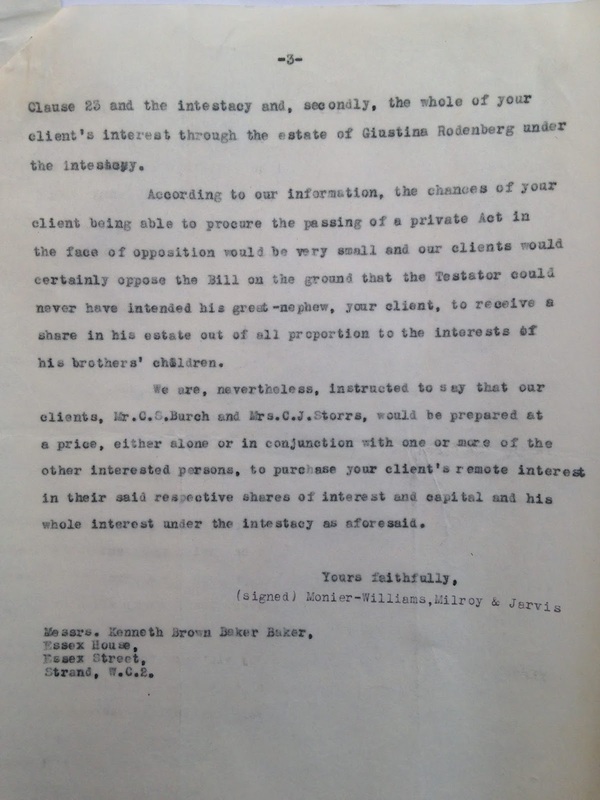 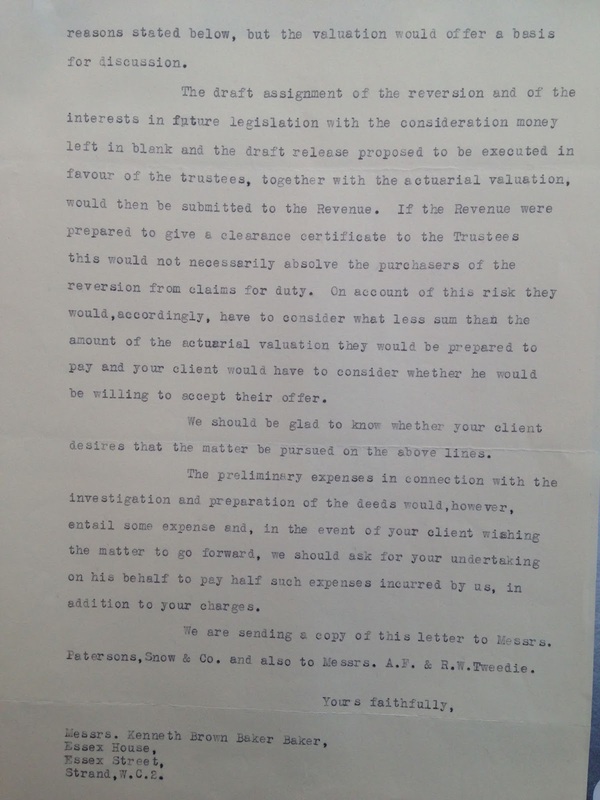 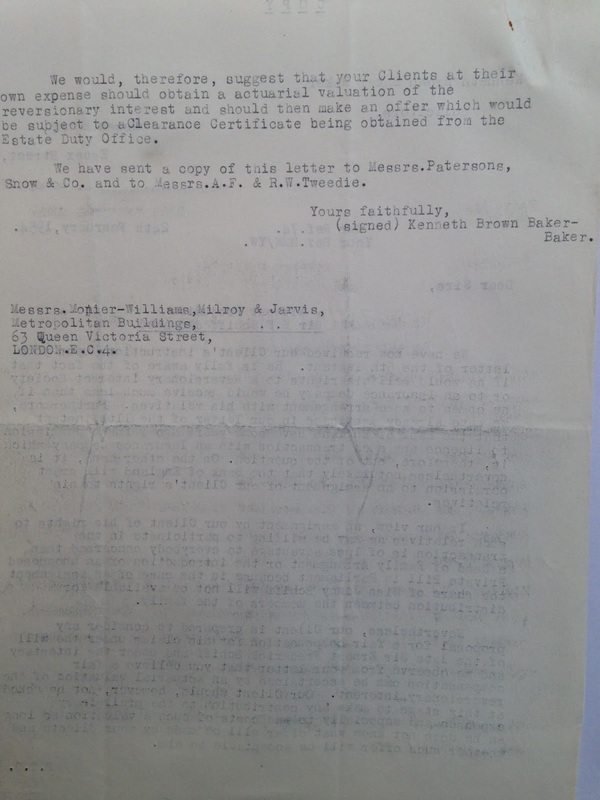 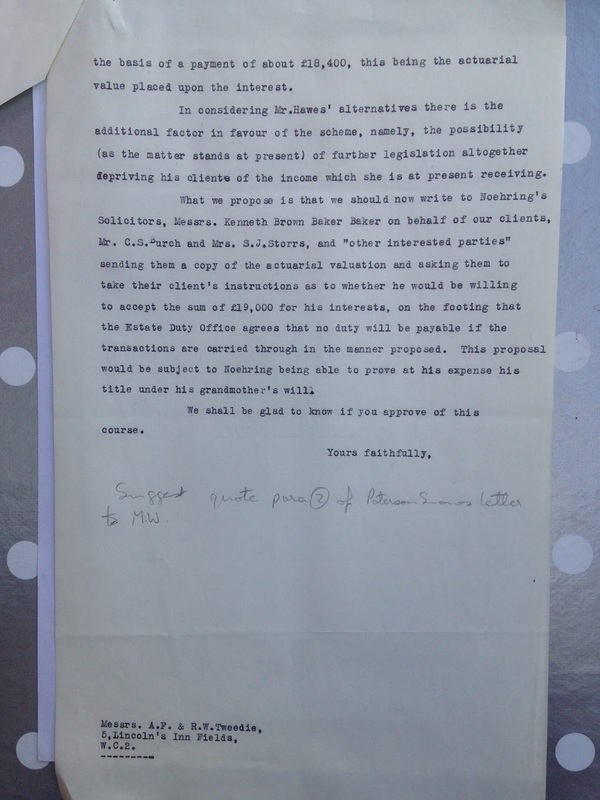 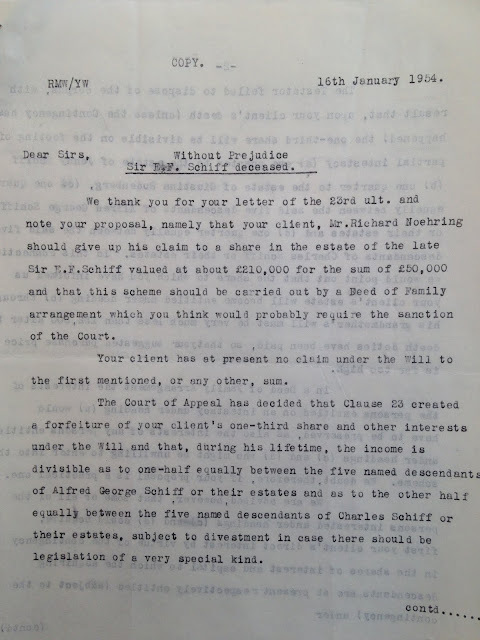 Solicitor to Charles Burch. 26th November 1953. 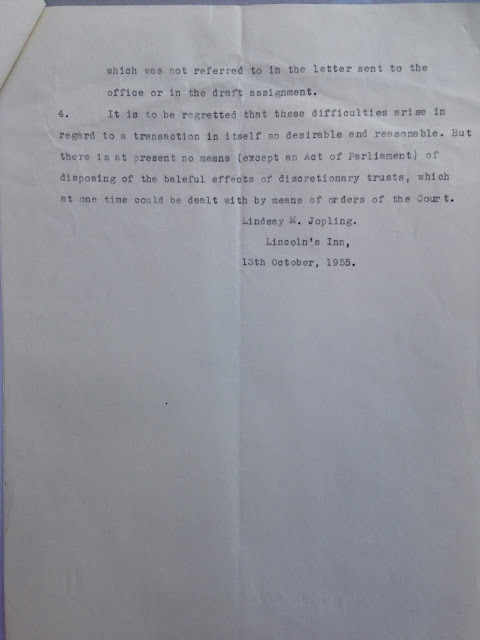 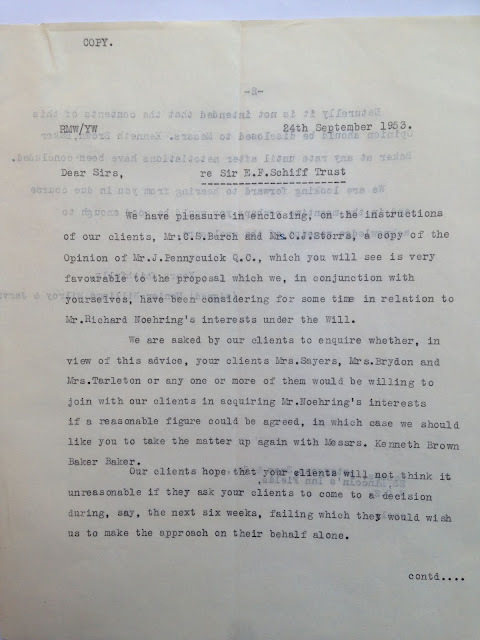 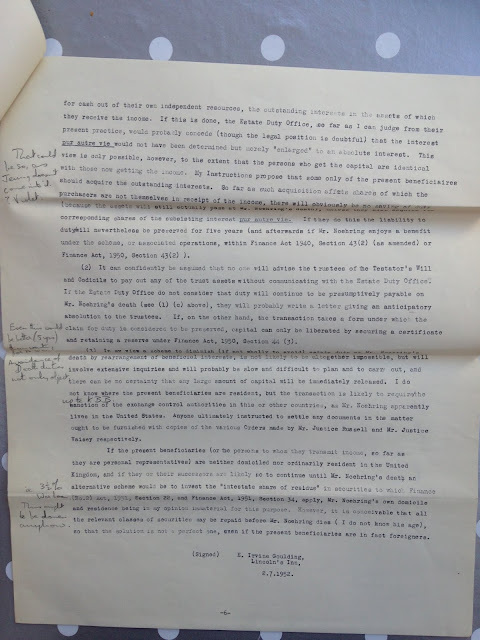 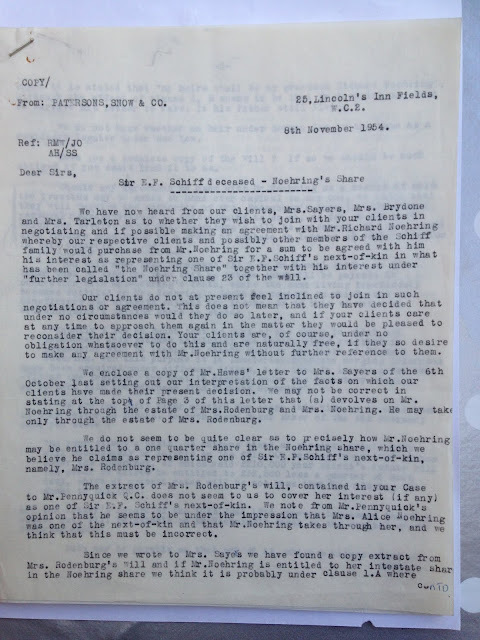 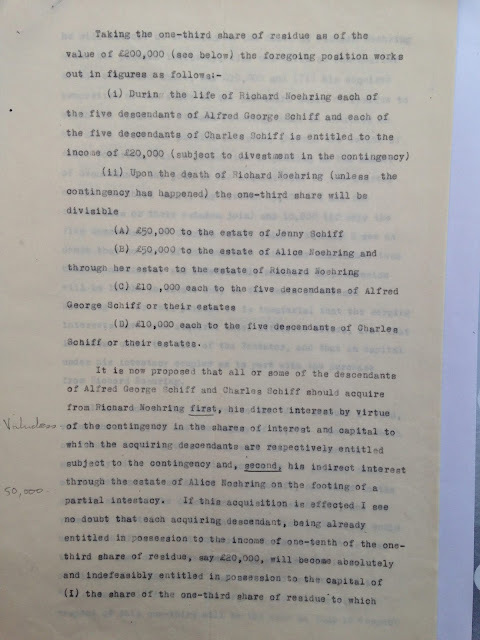 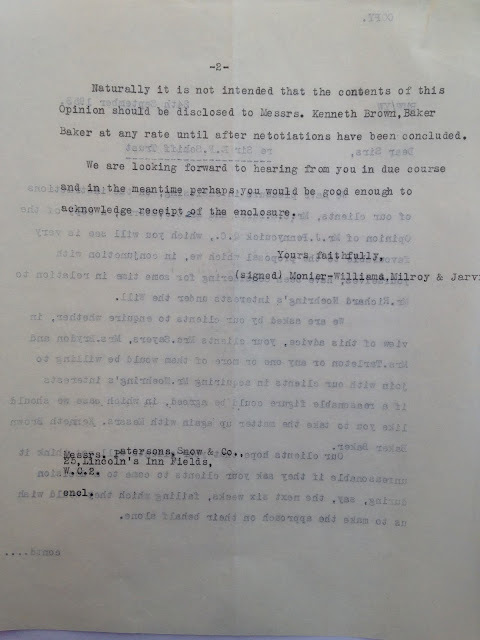 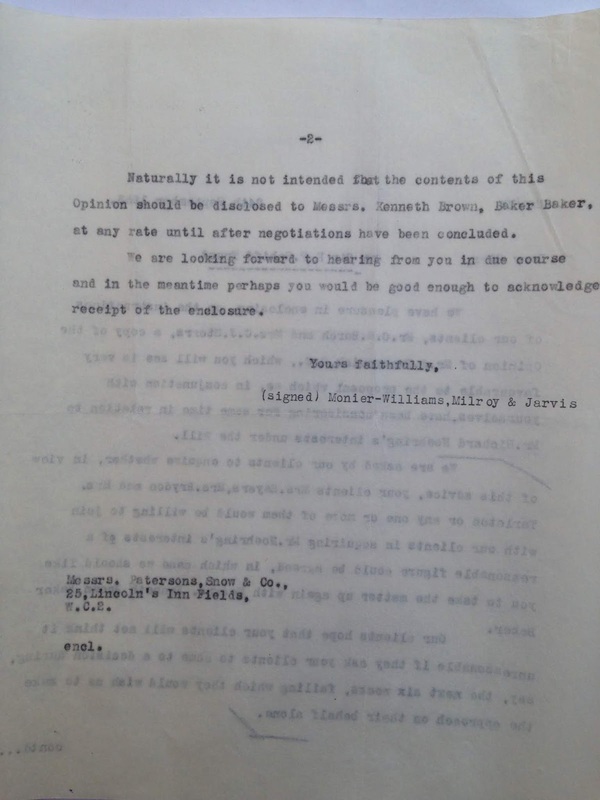 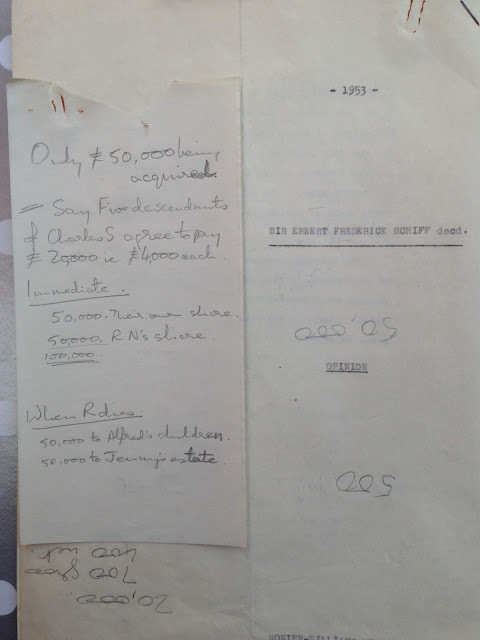 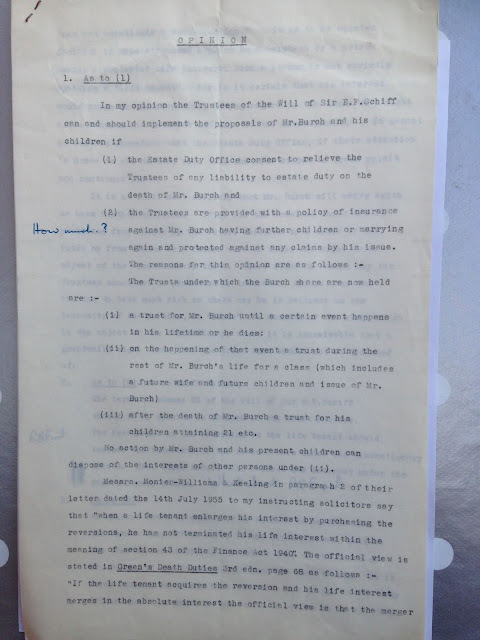 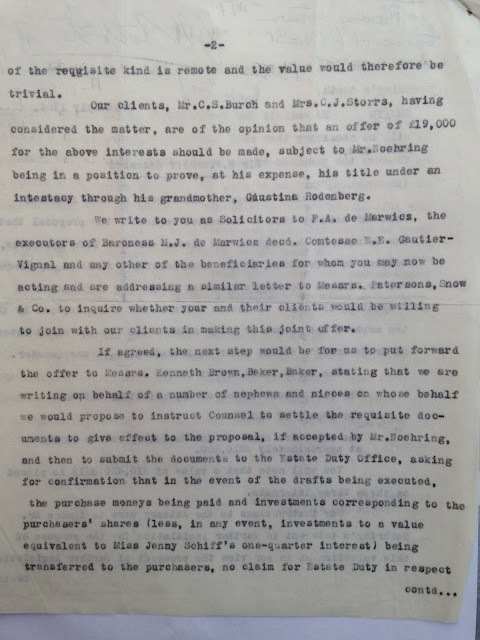 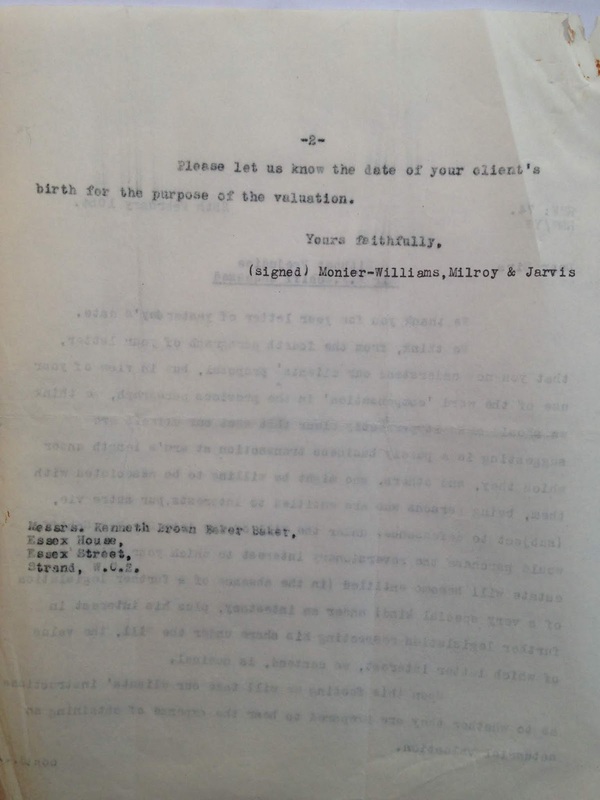 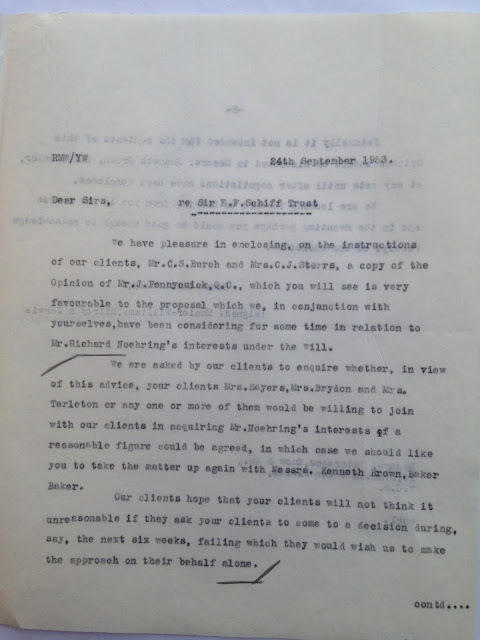 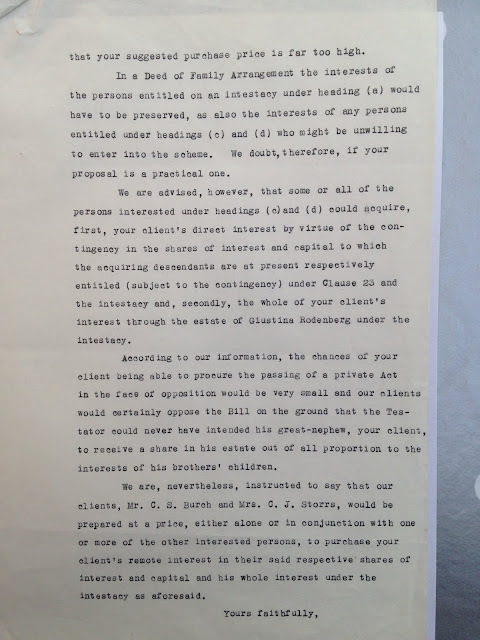 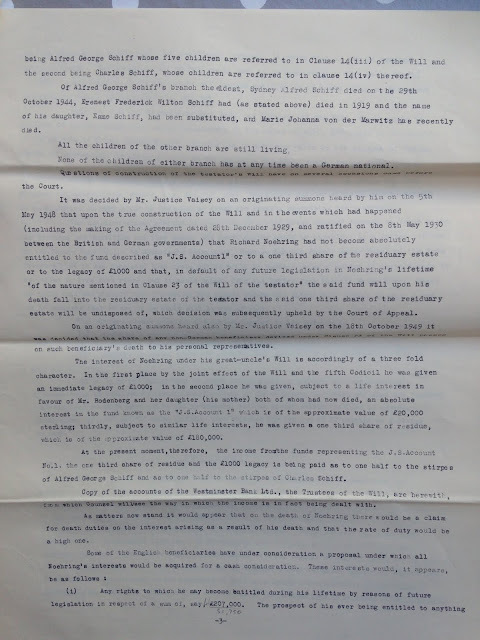 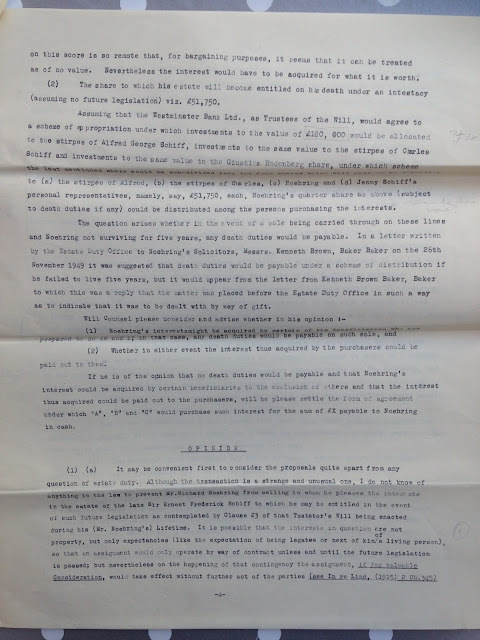 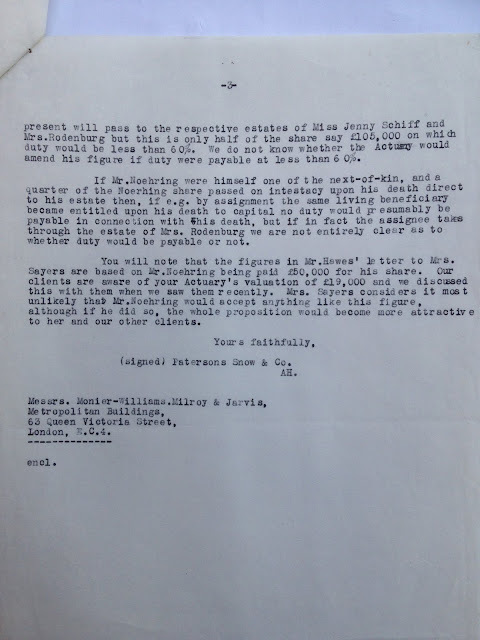 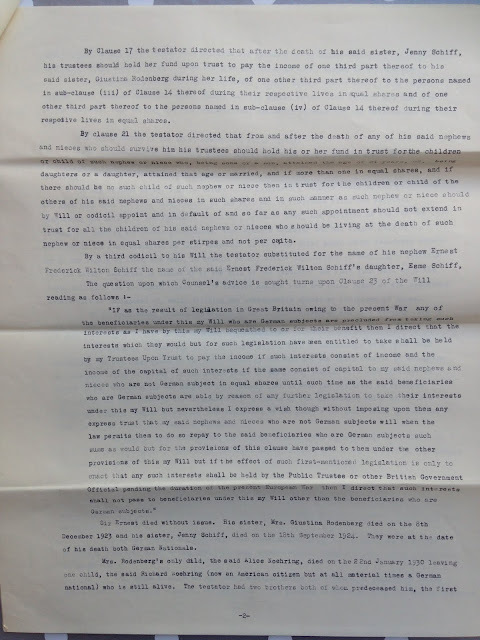 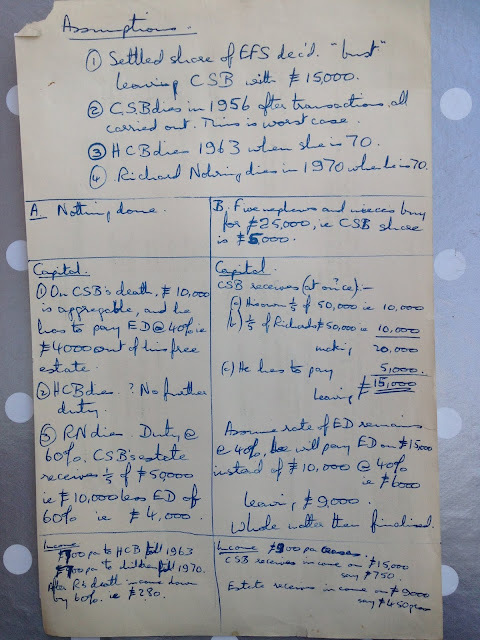 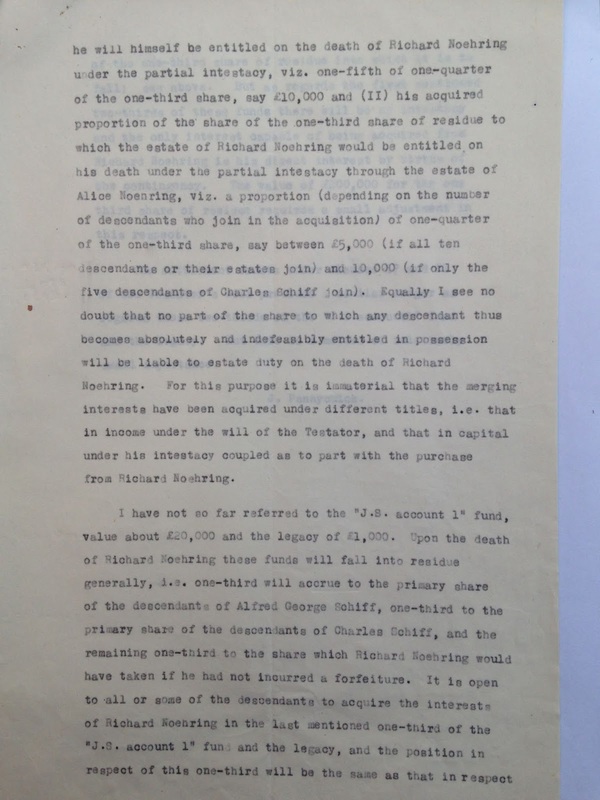 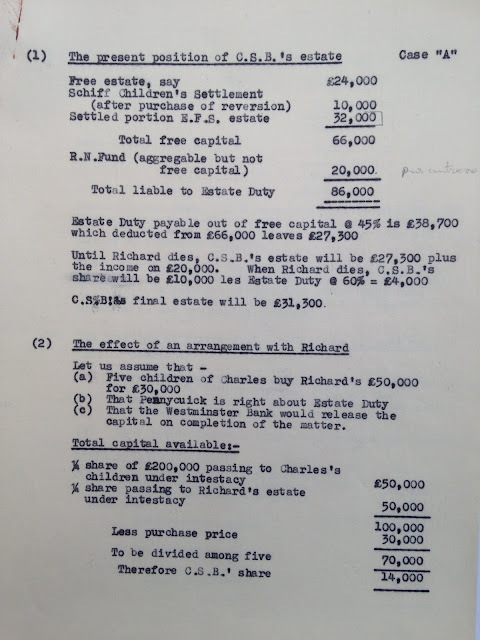 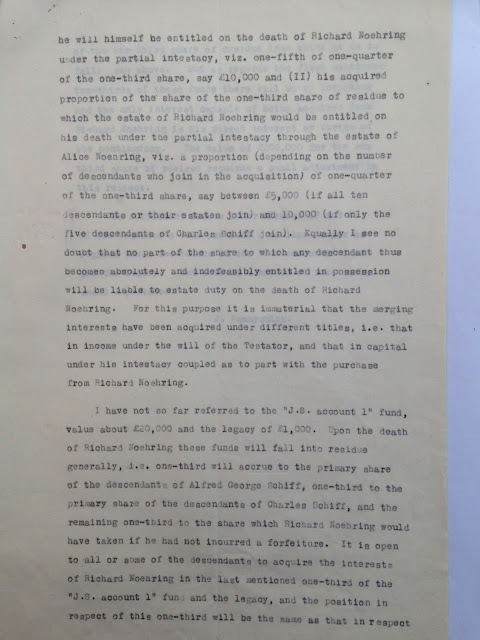 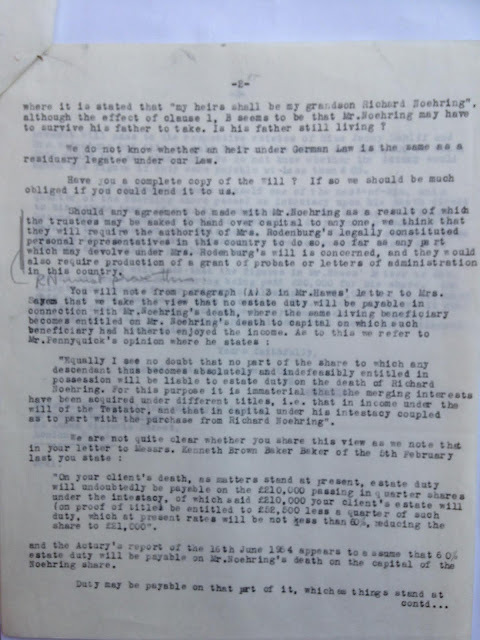 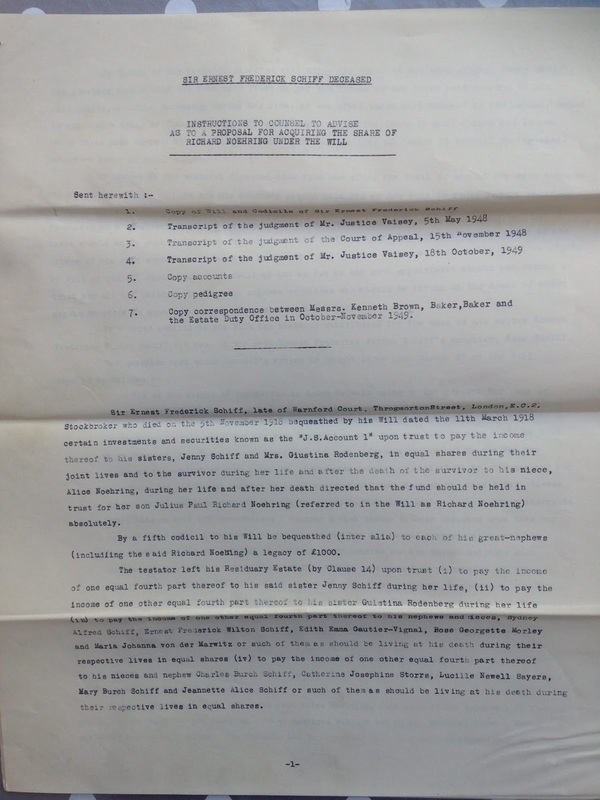 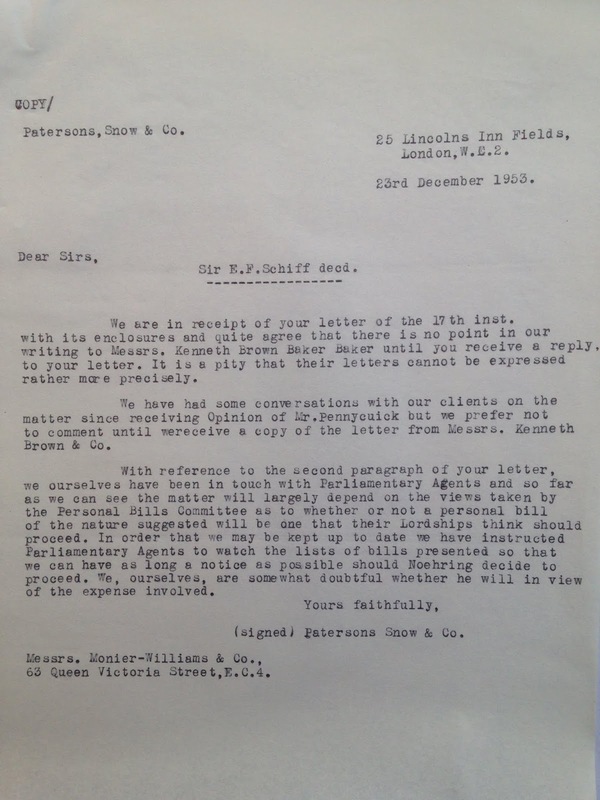 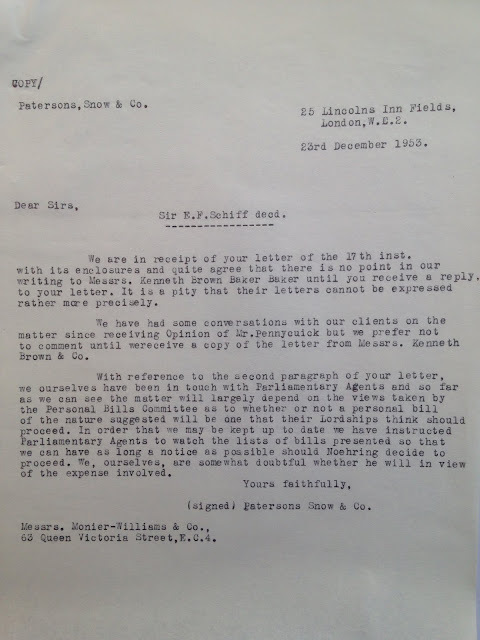 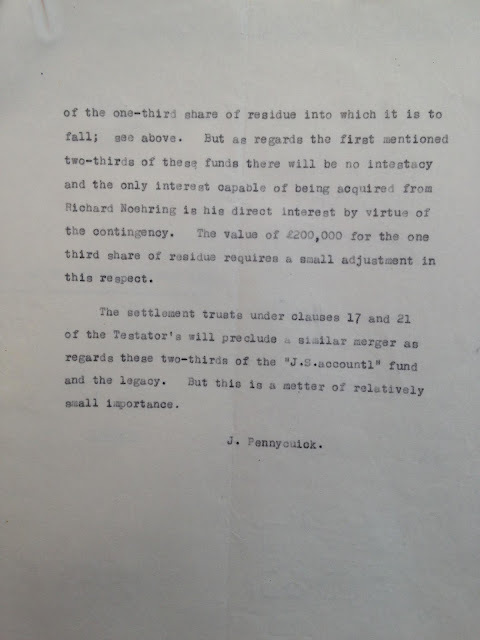 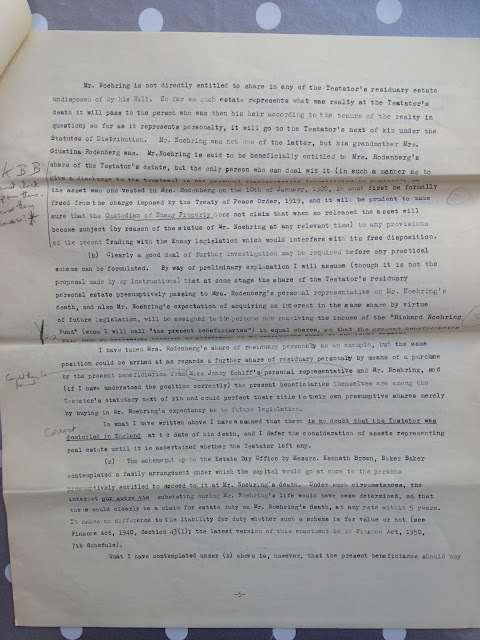 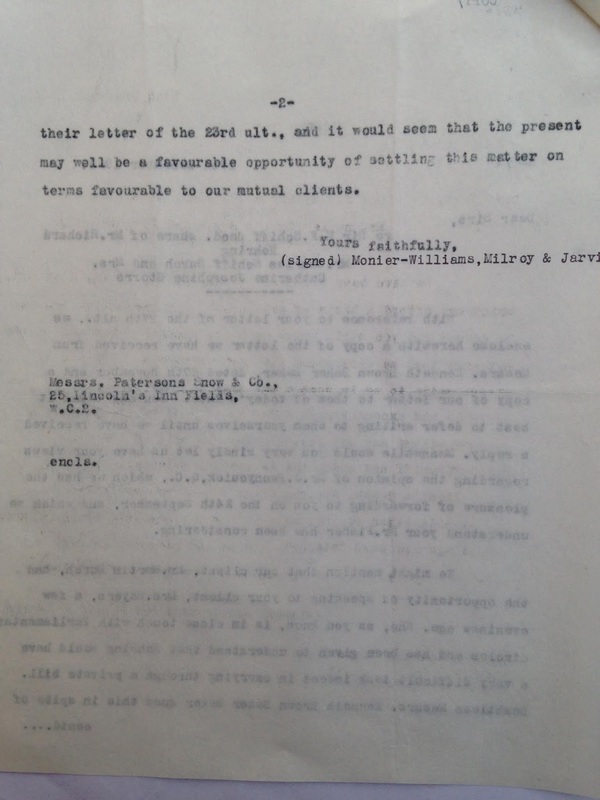 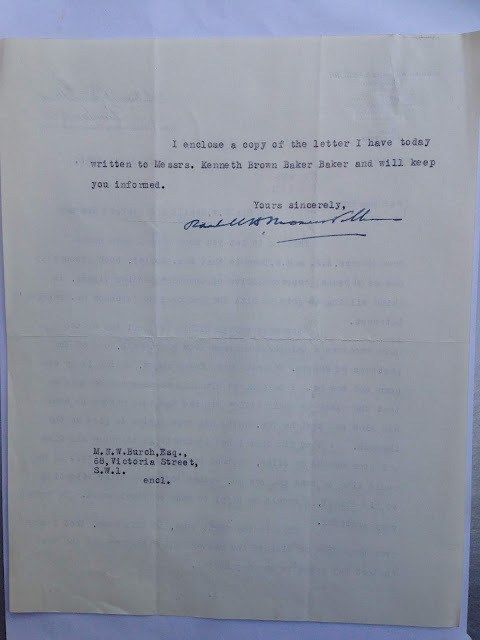 Richard Nöhring's solicitor to Charles Burch et al. 23rd November 19[53?]. 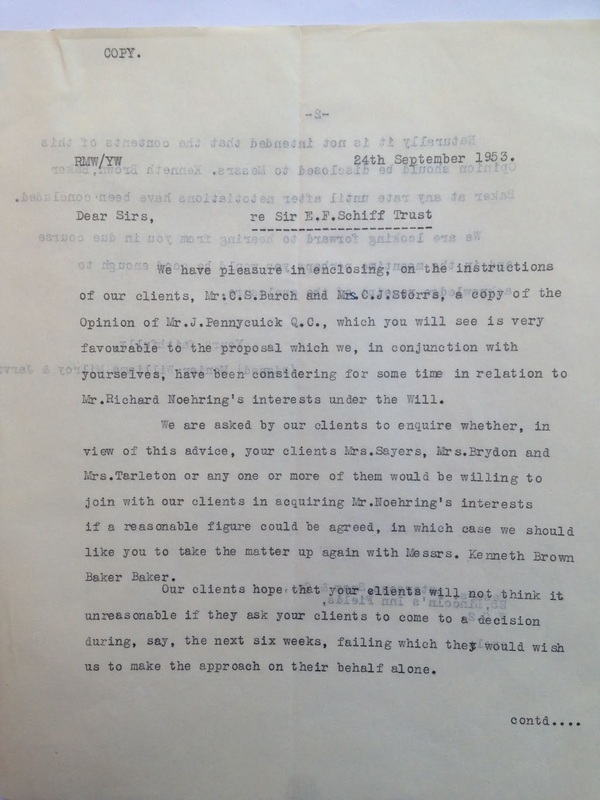 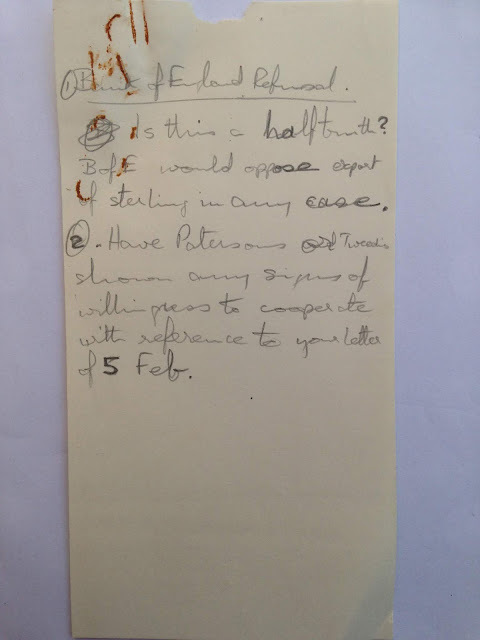 Martin Burch's solicitor to Richard Nöhring's solicitor. 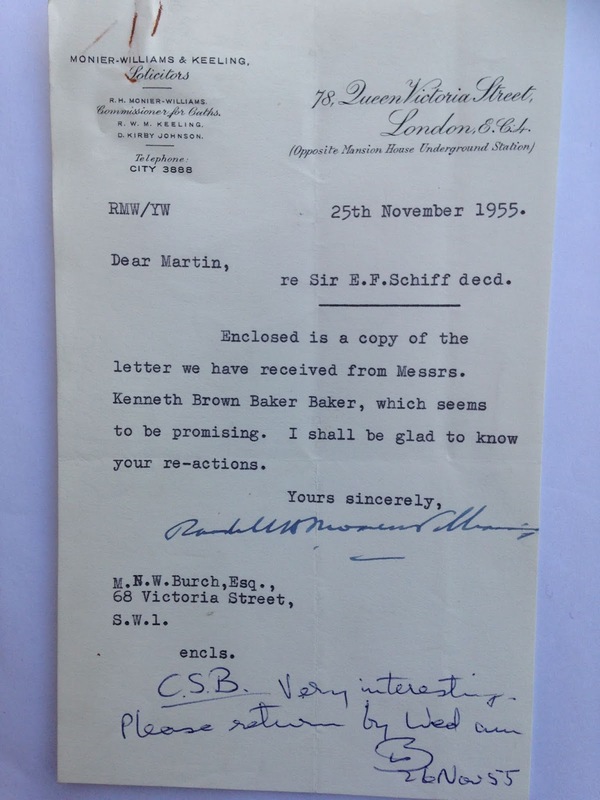 26th November 1953. 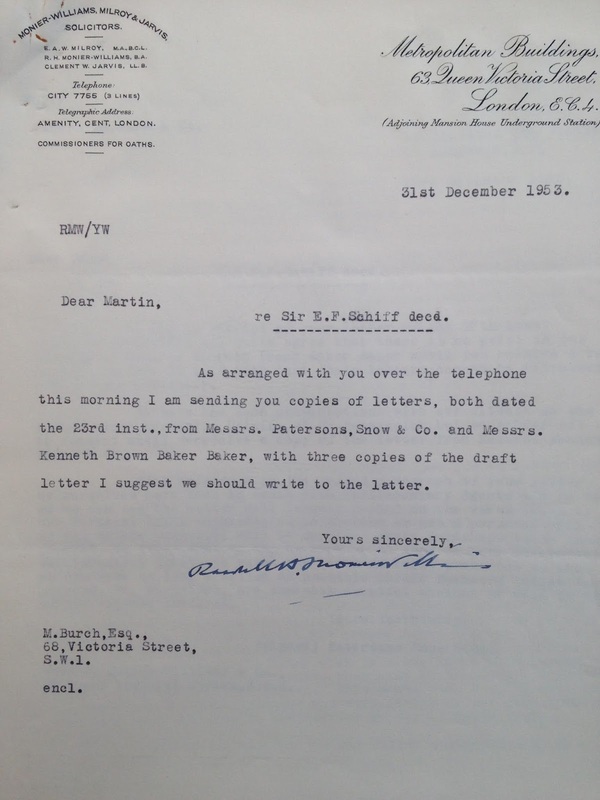 Martin Burch to Lucile Sayers. 16th December 1953. Solicitor to Martin Burch. 31st december 1953. 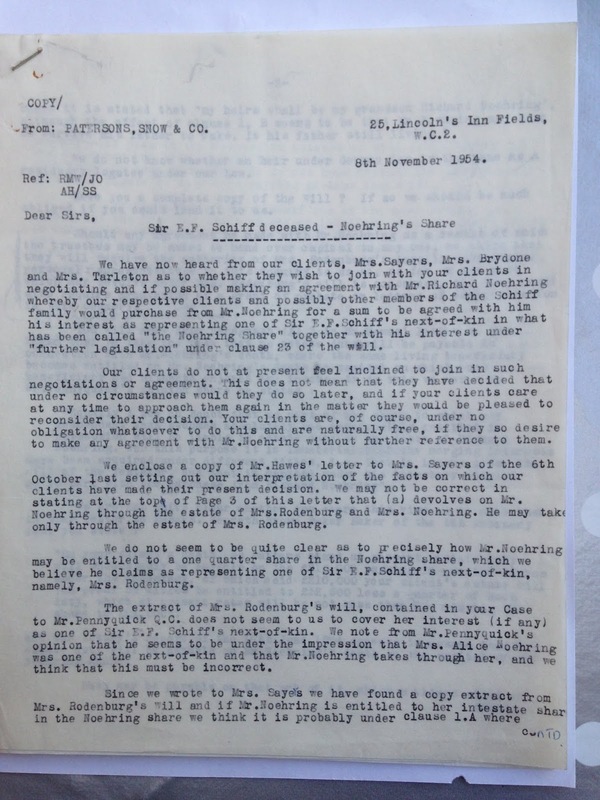 Richard Nöhring's solicitor to Martin Burch's solicitor. 23rd December 1953. 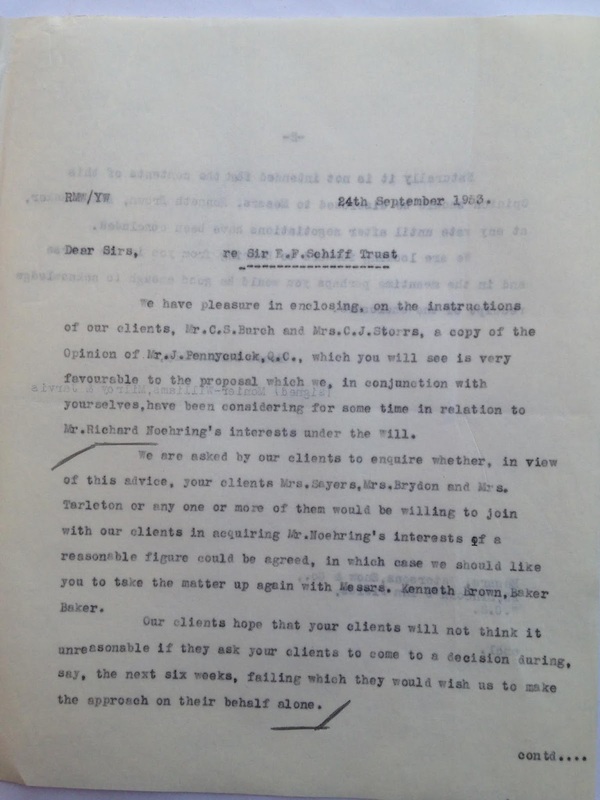 Richard Nöhring's solicitor to Charles Burch's solicitor. 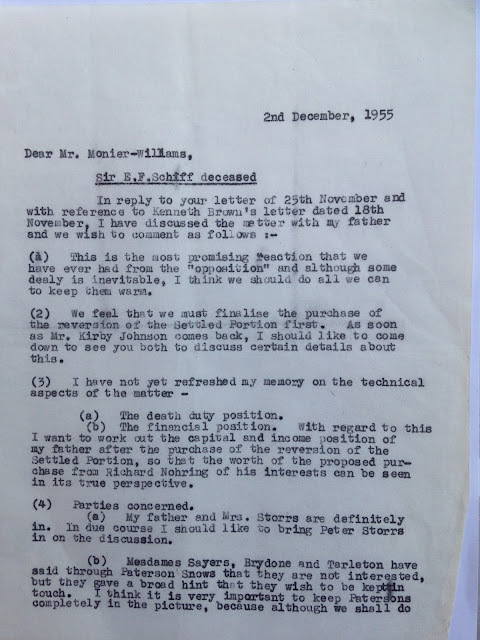 23rd December 1953. 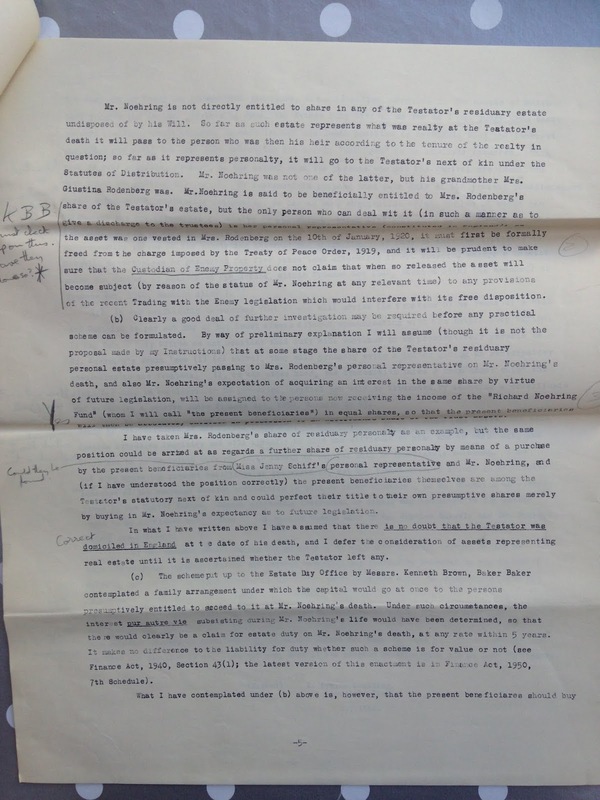 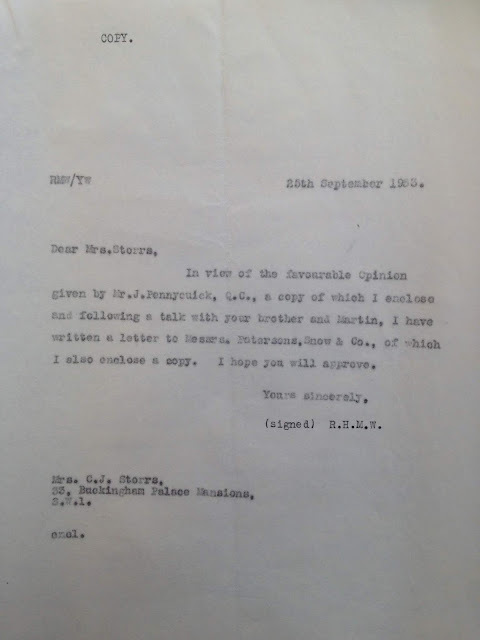 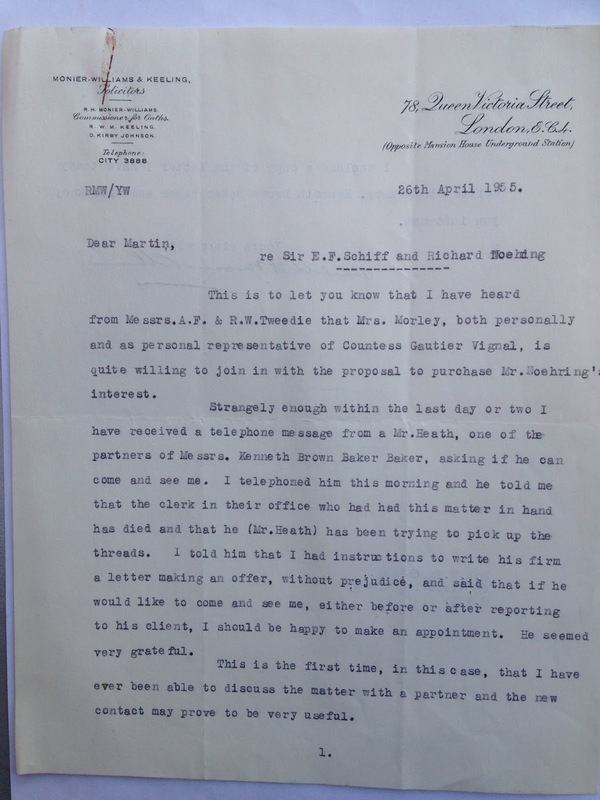 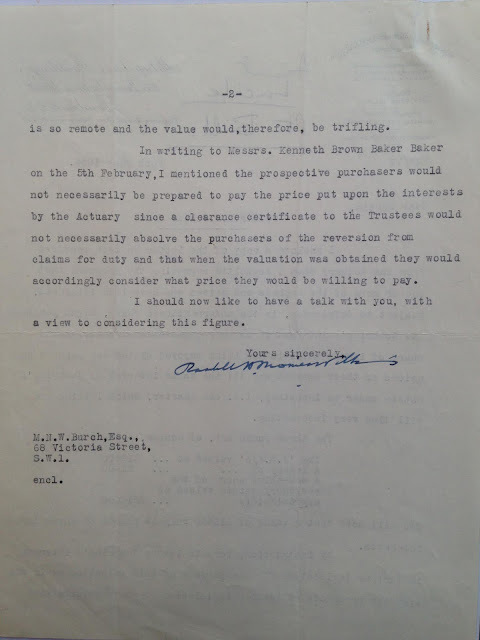 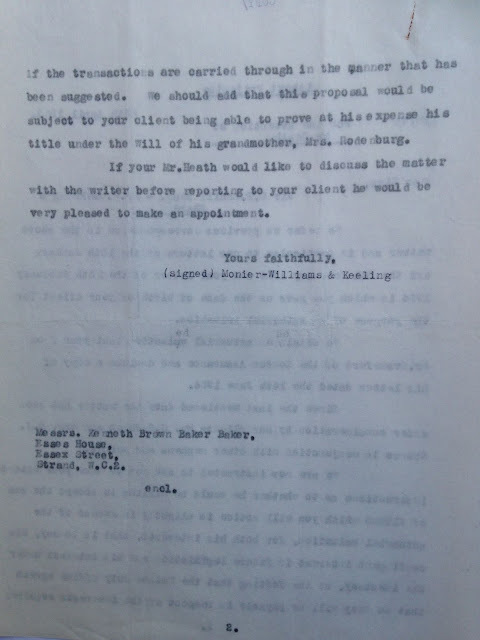 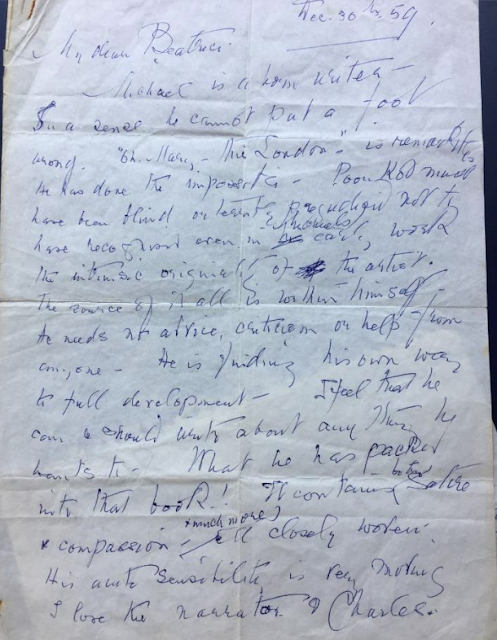 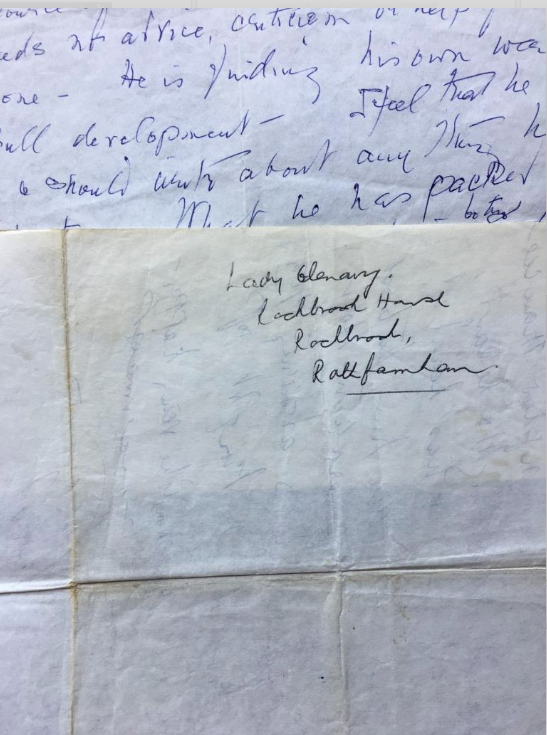 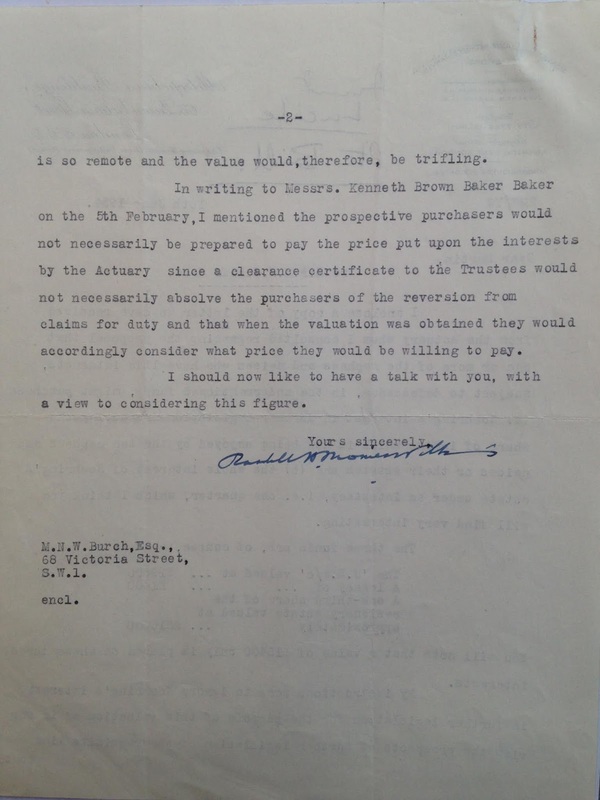 Charles Burch's solicitor to Richard Nöhring's solicitor. c.1st January 1954. Letter to Martin Burch from his solicitor. 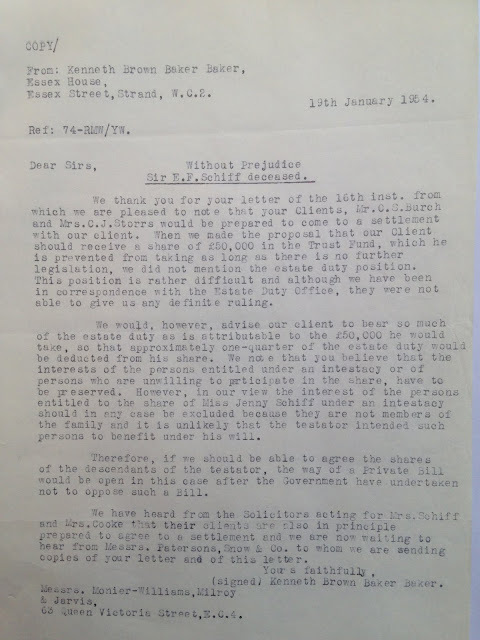 16th January 1954. 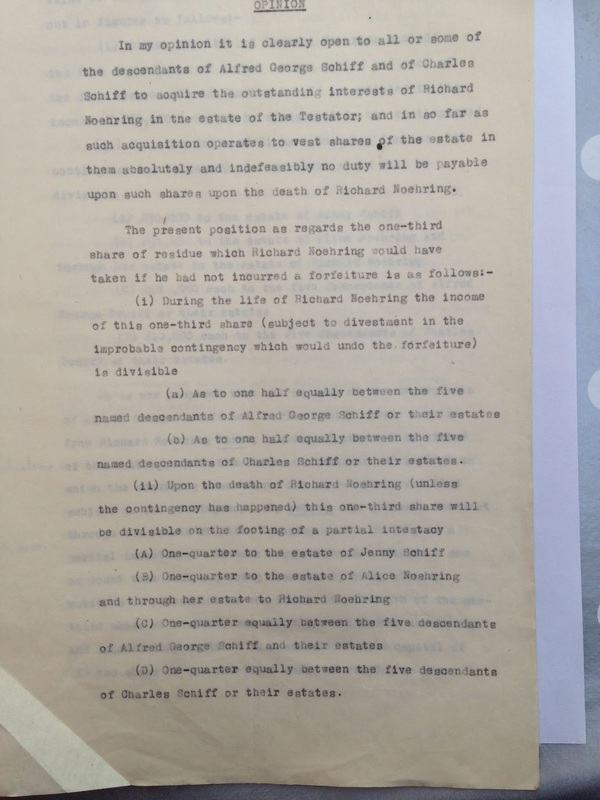 Solicitor for Burch family to solicitor for Richard Nöhring. 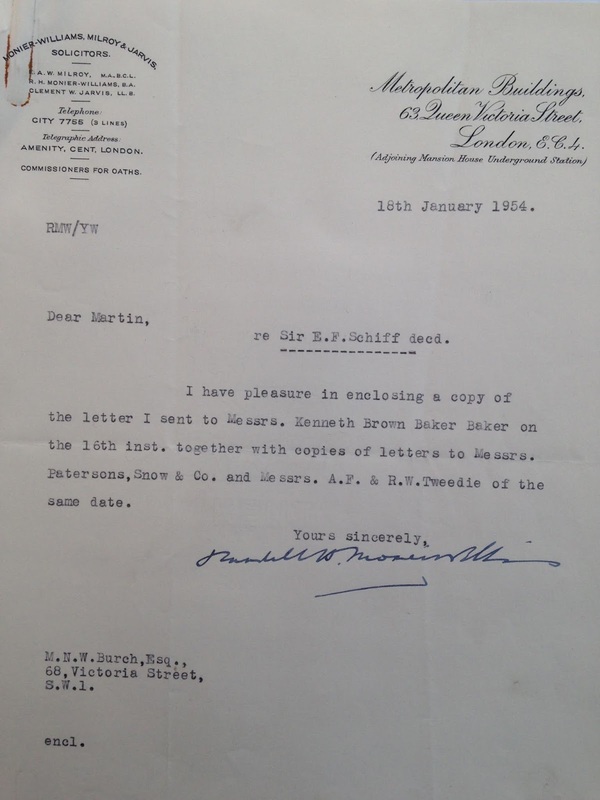 16th January 1954. Solicitor for Richard Nöhring to solicitor for Burch family. 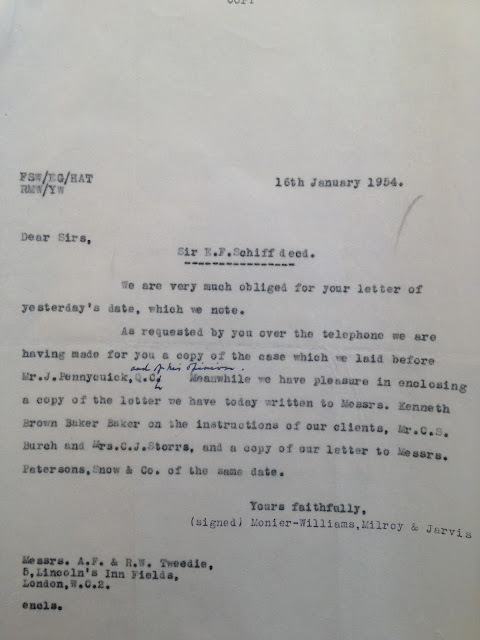 19th January 1954. Solicitor to Martin Burch. 2nd February 1954. 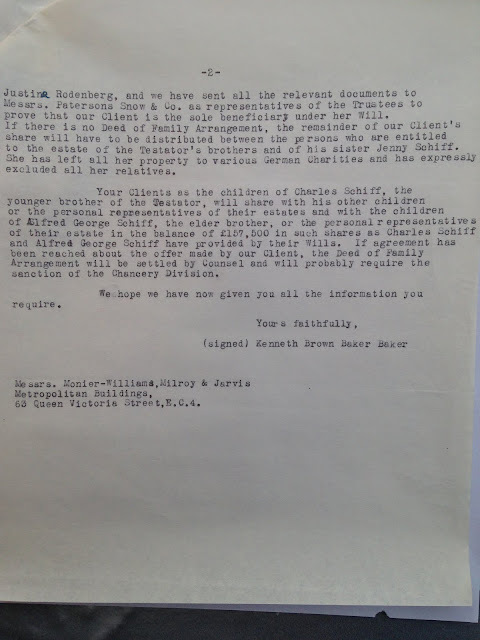 Solicitor for Richard Nöhring to solicitor for Burch family. 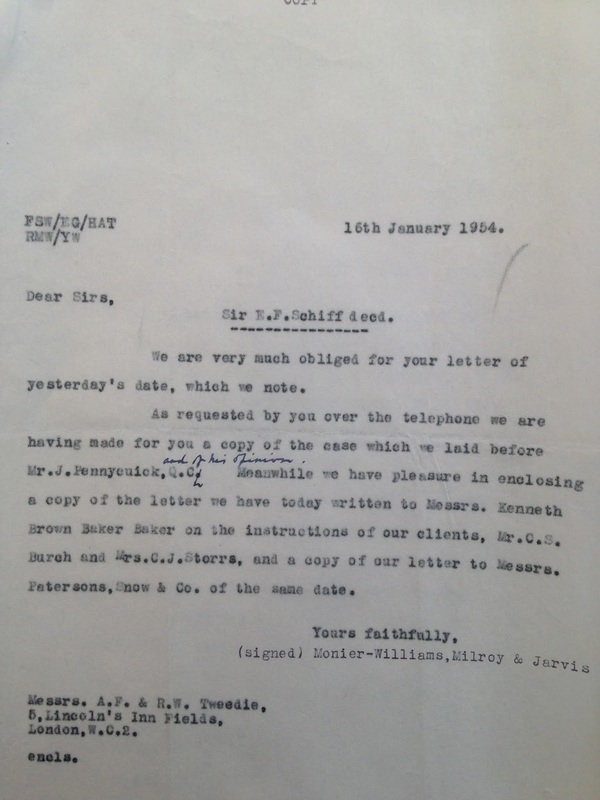 3rd February 1954. 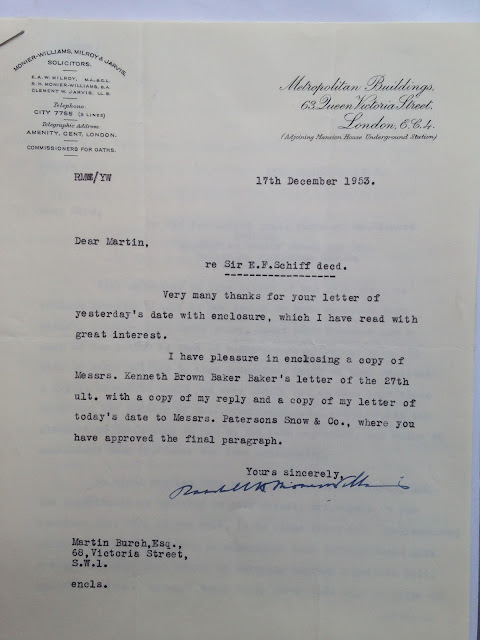 Queries from [Martin Burch?] to solicitor. 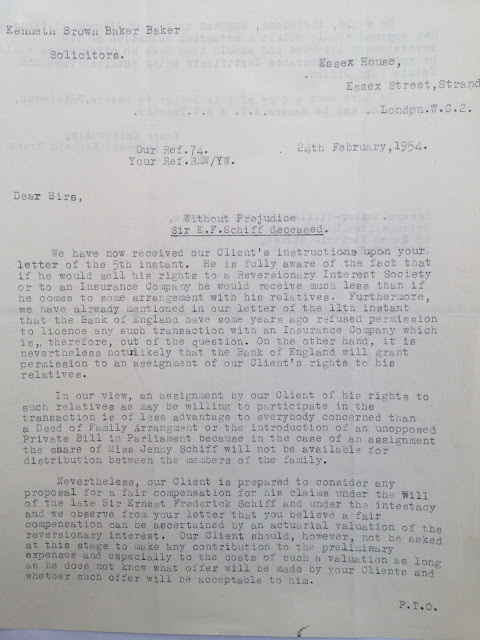 Solicitor to Martin Burch. 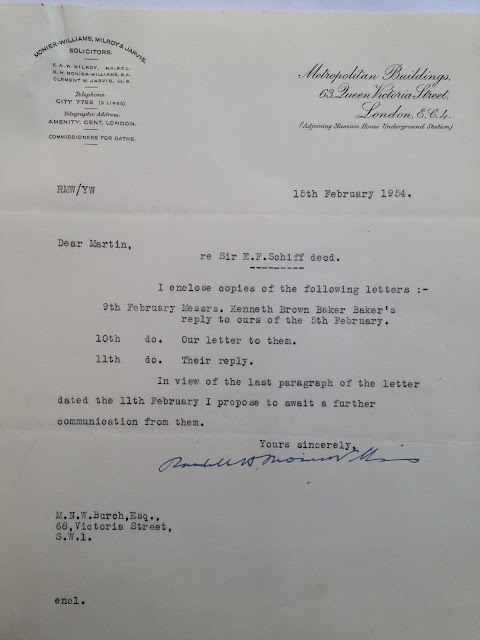 15th February 1954. 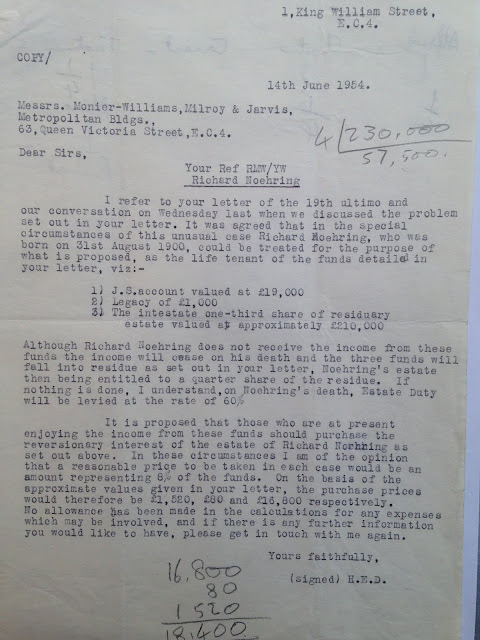 Solicitor for Richard Nöhring to solicitor for Burch family. 9th February 1954. 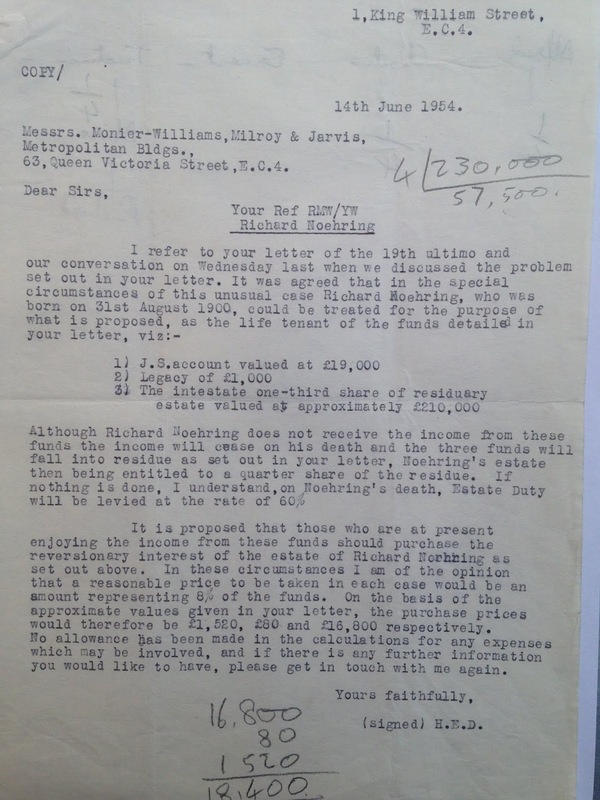 Solicitor for Richard Nöhring to solicitor for Burch family. 10th February 1954. Solicitor for Richard Nöhring to solicitor for Burch family. 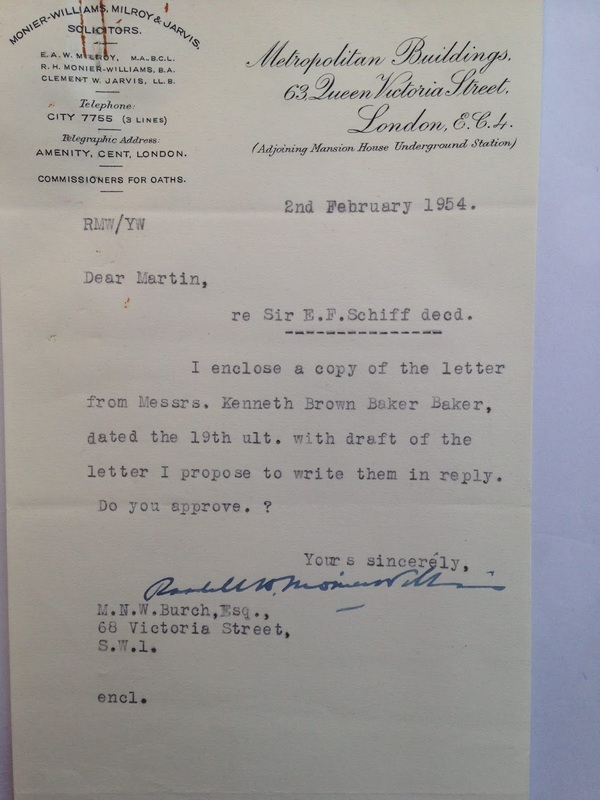 11th February 1954. 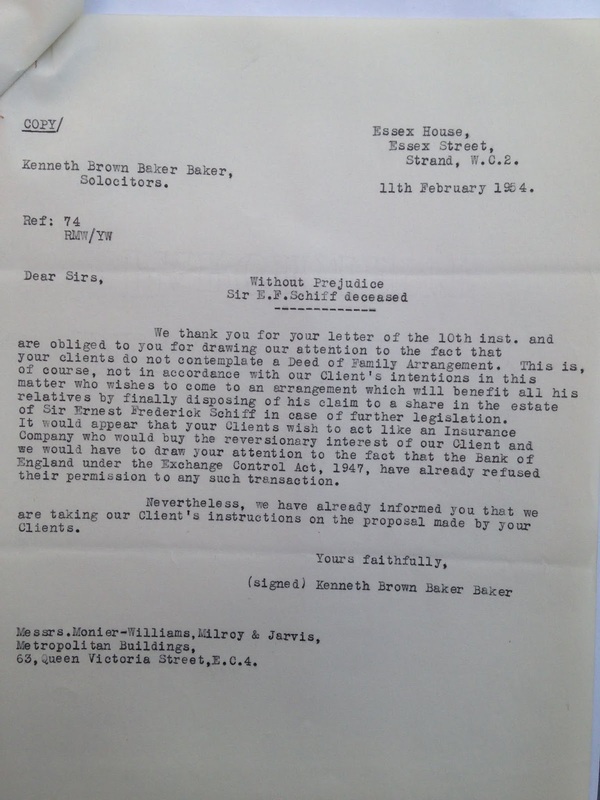 Solicitor to Martin Burch. 25th February 1954. Solicitor for Richard Nöhring to solicitor for Burch family. 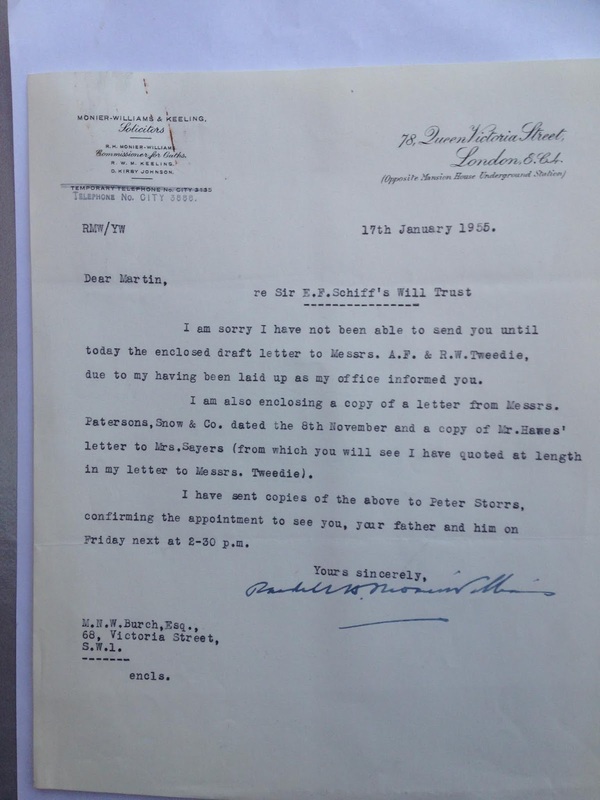 24th February 1954. 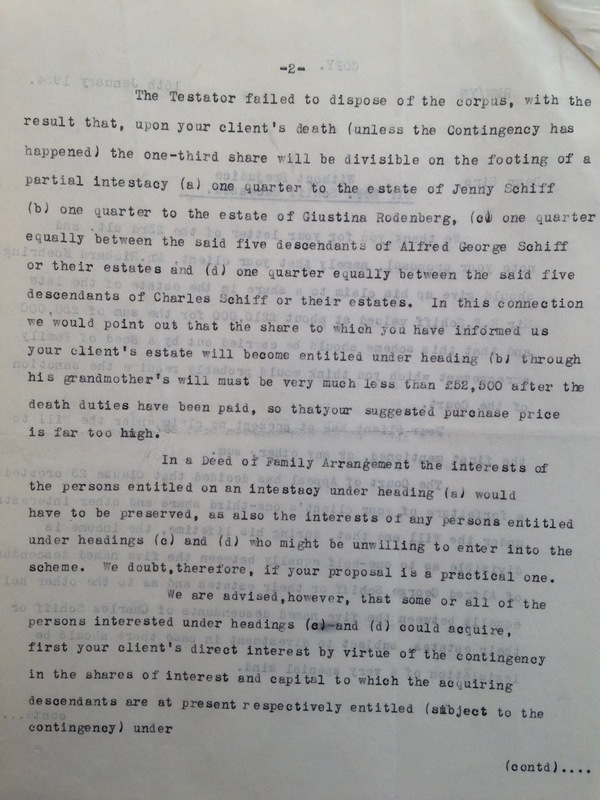 Solicitor for Burch family to solicitor for Richard Nöhring. 25th February 1954. Solicitor to Martin Burch. 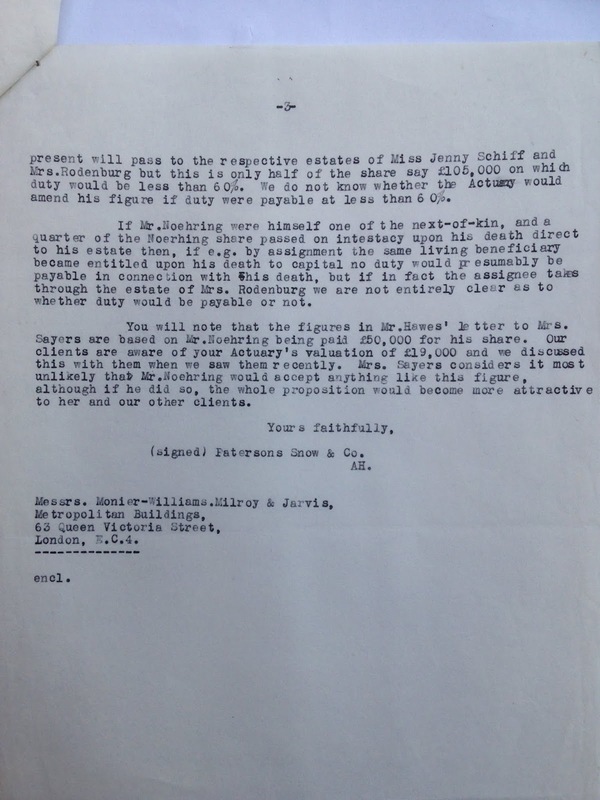 16th June 1954. 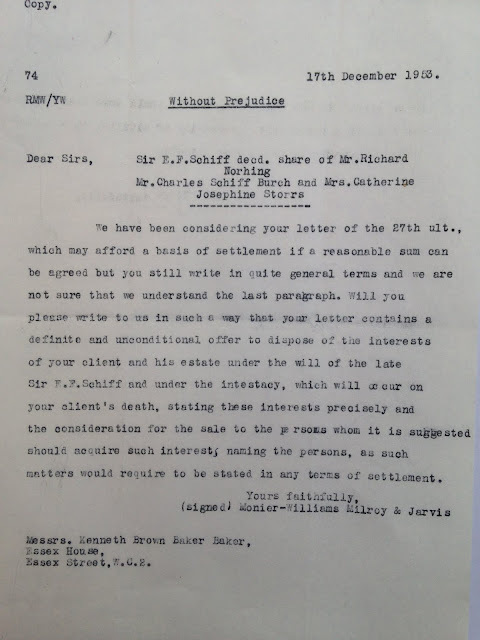 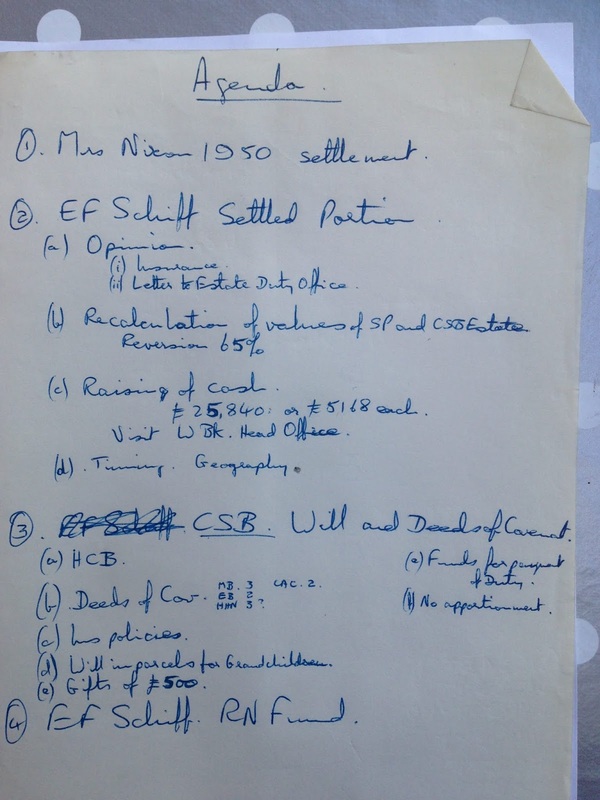 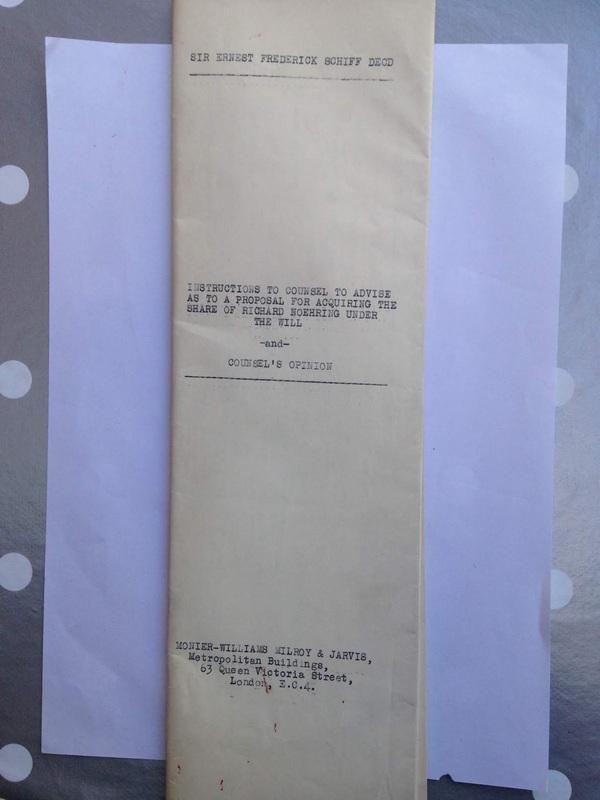 Solicitor for Richard Nöhring to solicitor for Richard Burch. 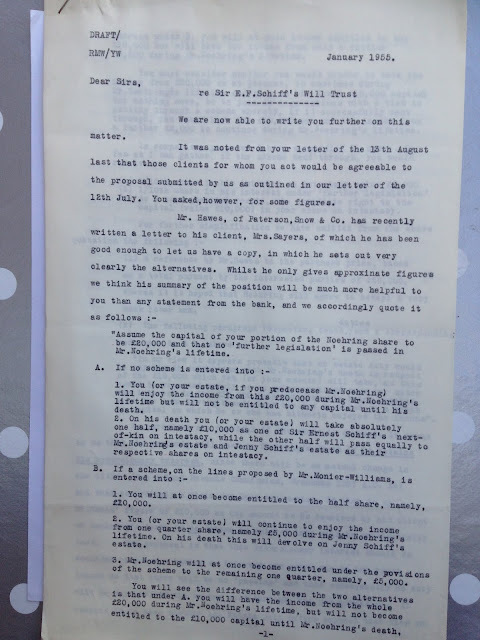 14th June 1954. 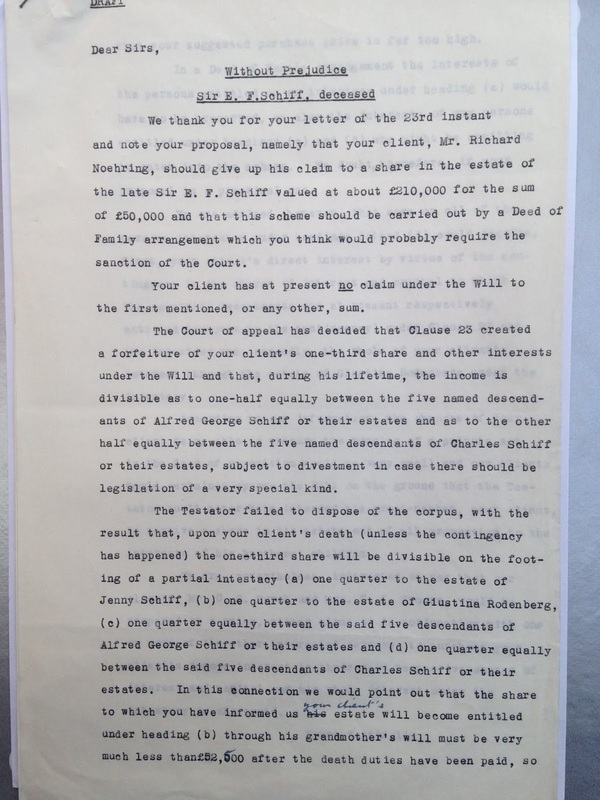 Solicitor for Burch family to solicitor for Richard Nöhring. 12th July 1954. 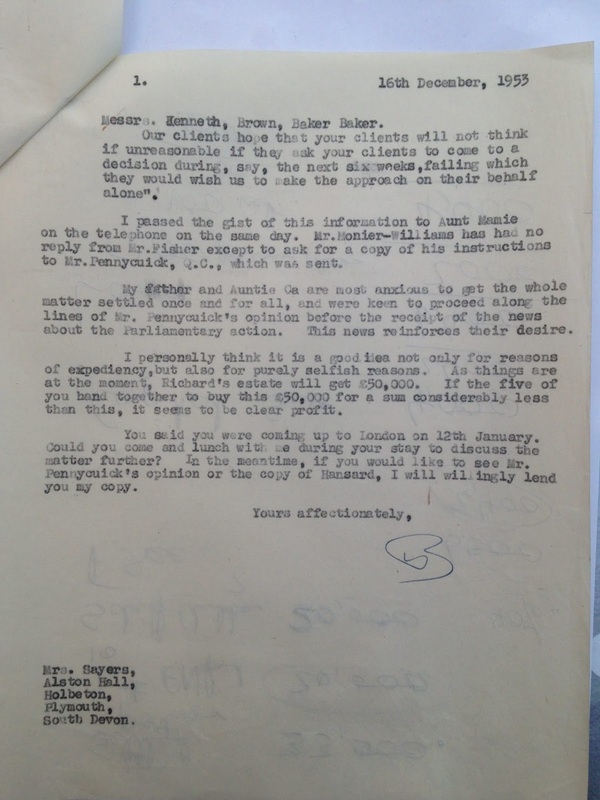 Solicitor to Martin Burch. 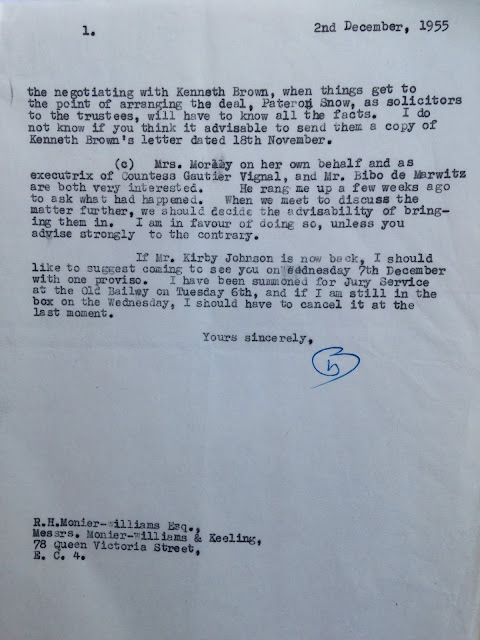 17th December 1953. 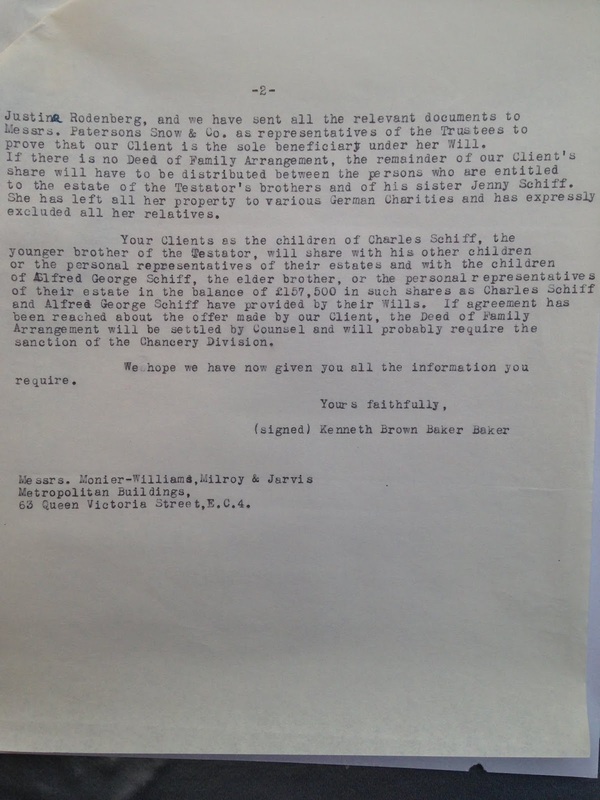 Solicitor for Burch family to solicitor for Richard Nöhring. 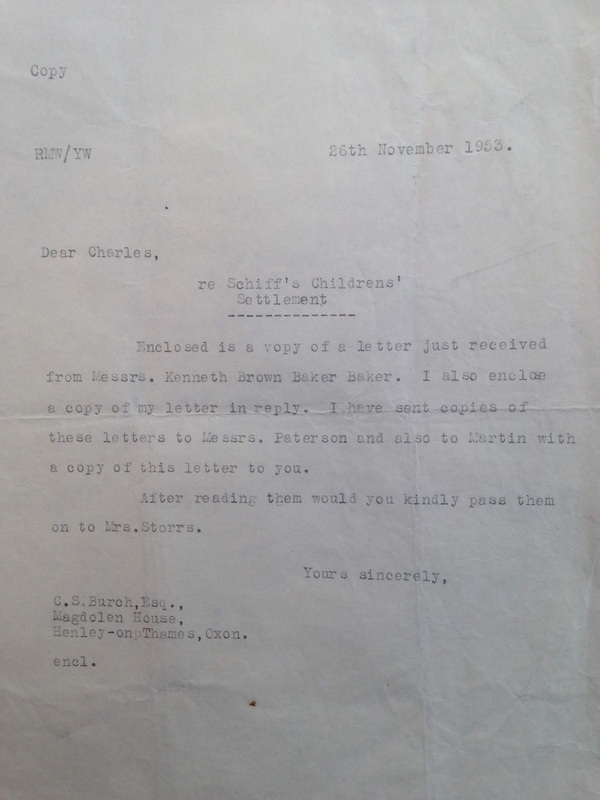 17th December 1953. Solicitor for Richard Nöhring to solicitor for Burch family. 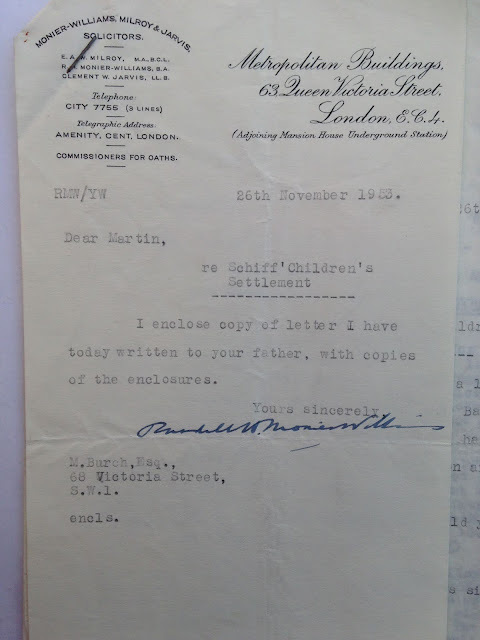 27th November 1953. Solicitor for Burch family to solicitor for Richard Nöhring. 24th September 1953. Solicitor to Charles Burch. 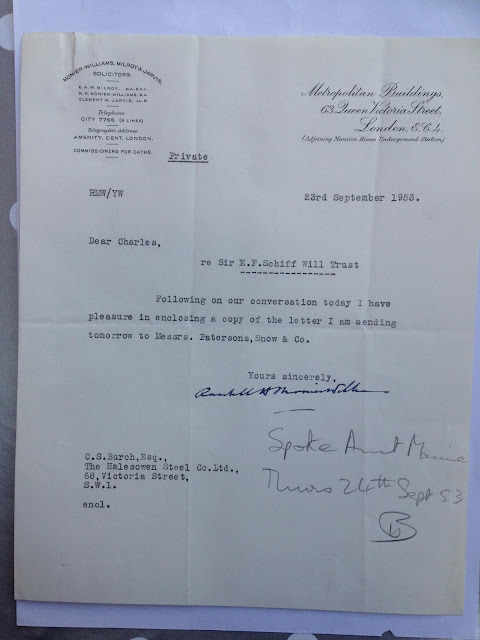 23rd September 1953. 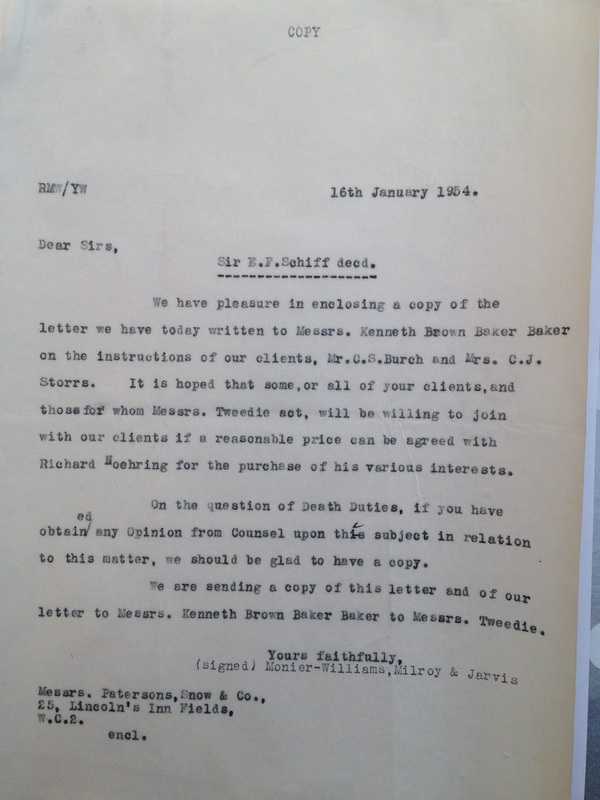 Martin Burch to solicitor. 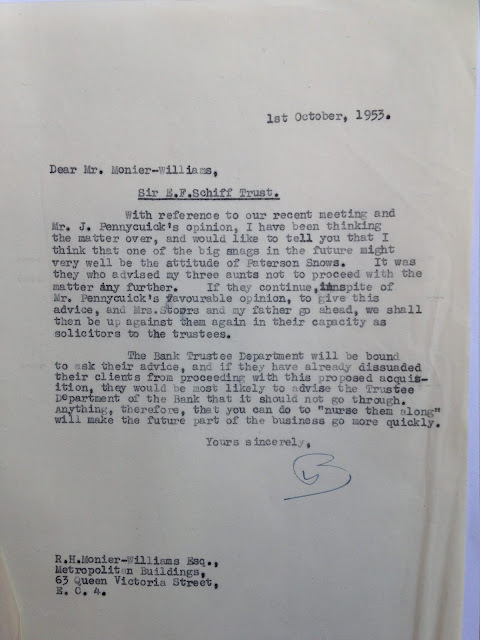 1st October 1953. 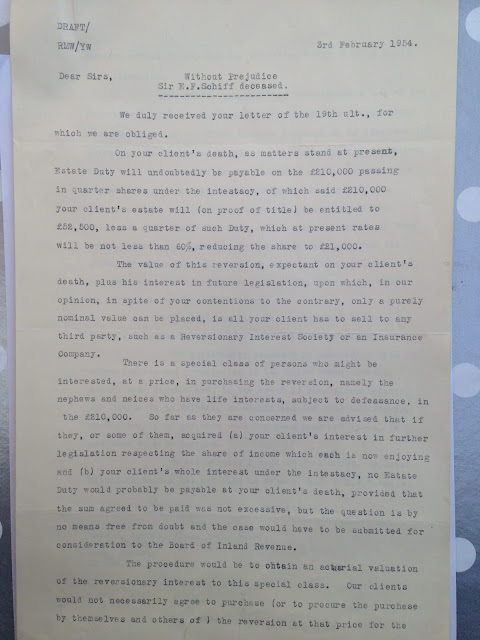 Solicitor for Richard Nöhring [?] to solicitor for Burch family [?]. 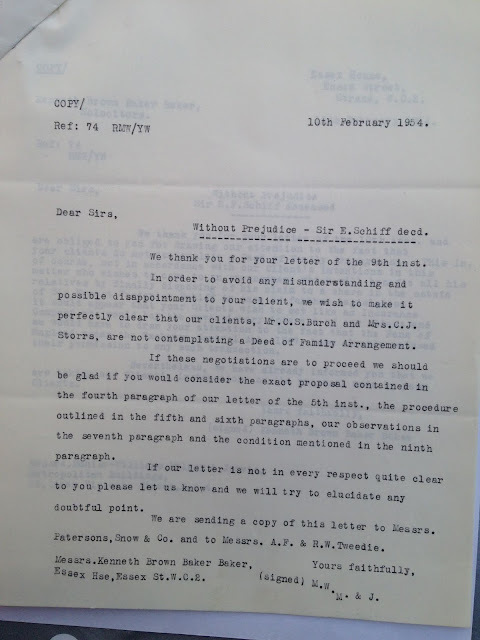 January 1955. Solicitor to Martin Burch. 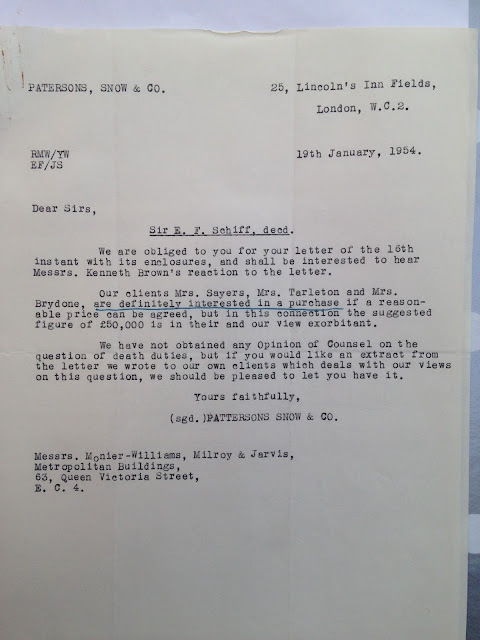 17th January 1955. 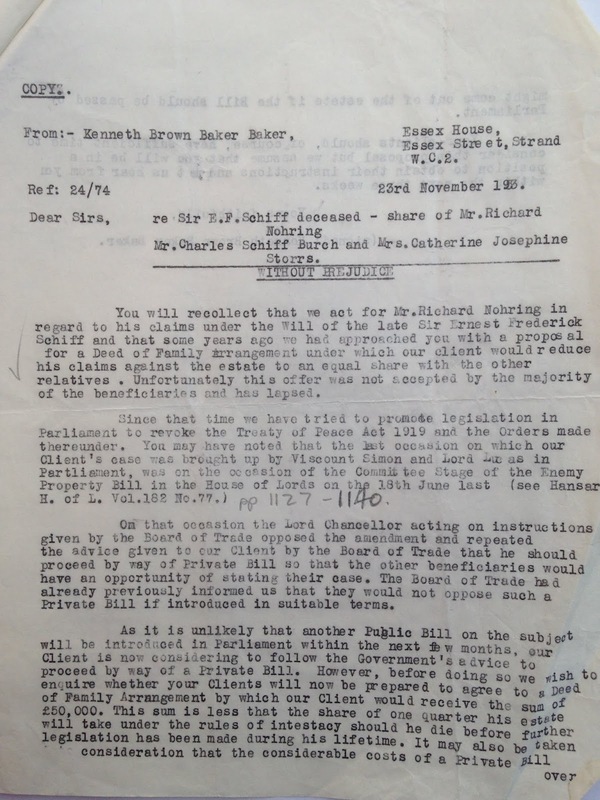 Solicitor to Martin Burch. 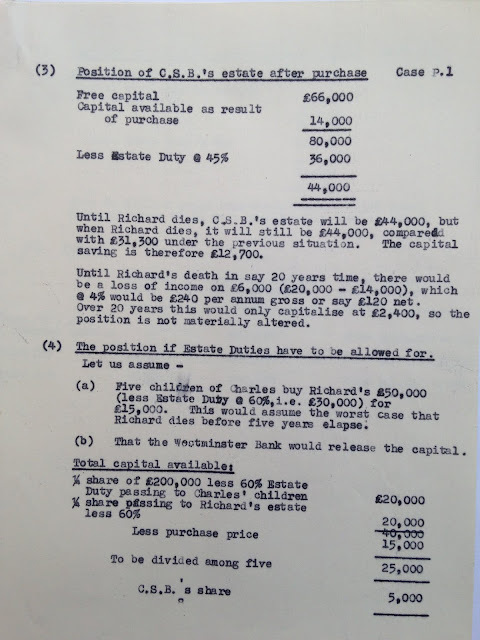 26th April 1955. 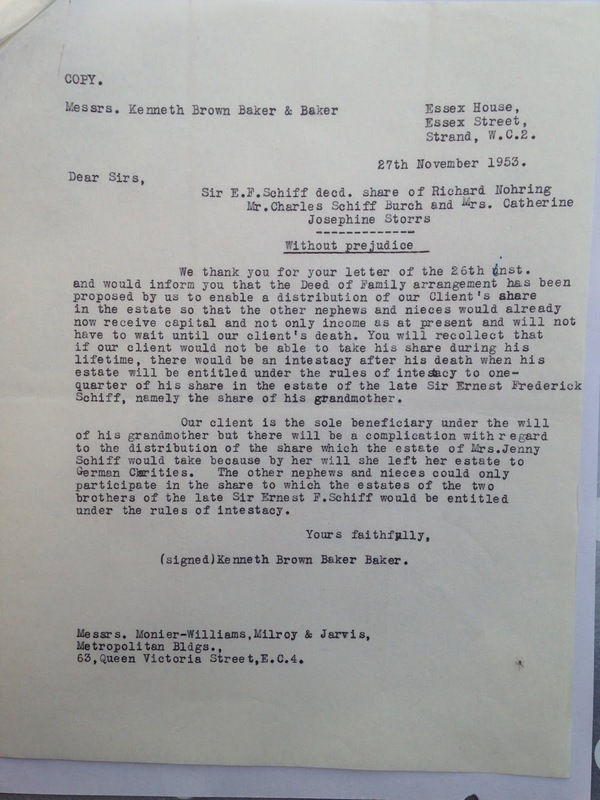 Solicitor for Richard Nöhring to solicitor for Burch family. 26th April 1955. 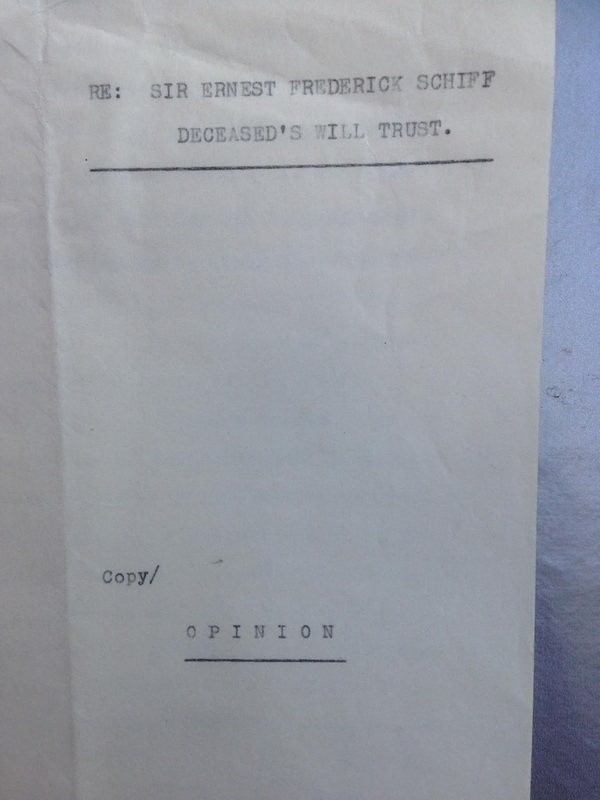 Legal opinion. 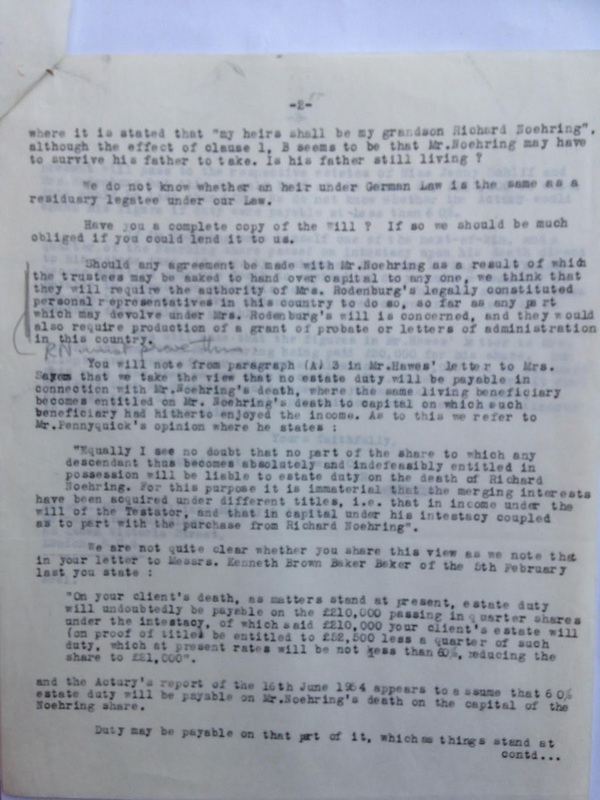 2nd July 1952. Solicitor to Martin Burch. 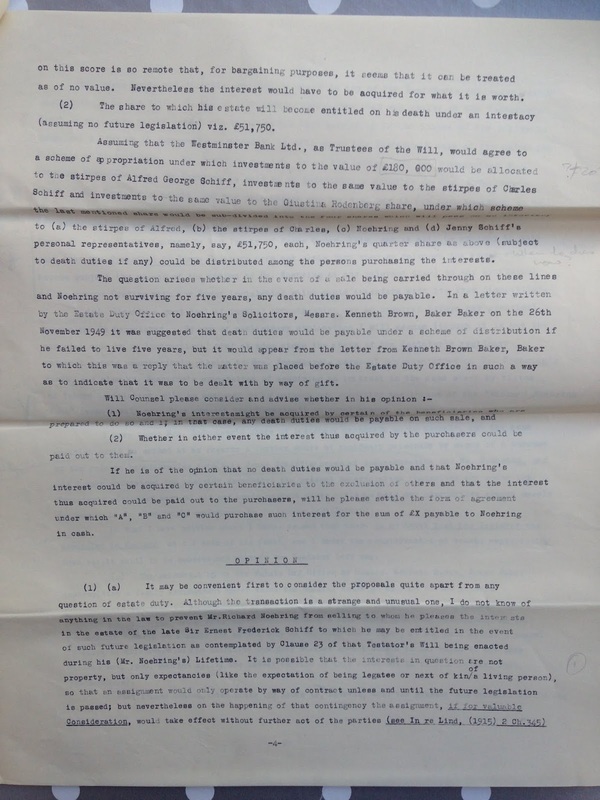 12th May 1955. 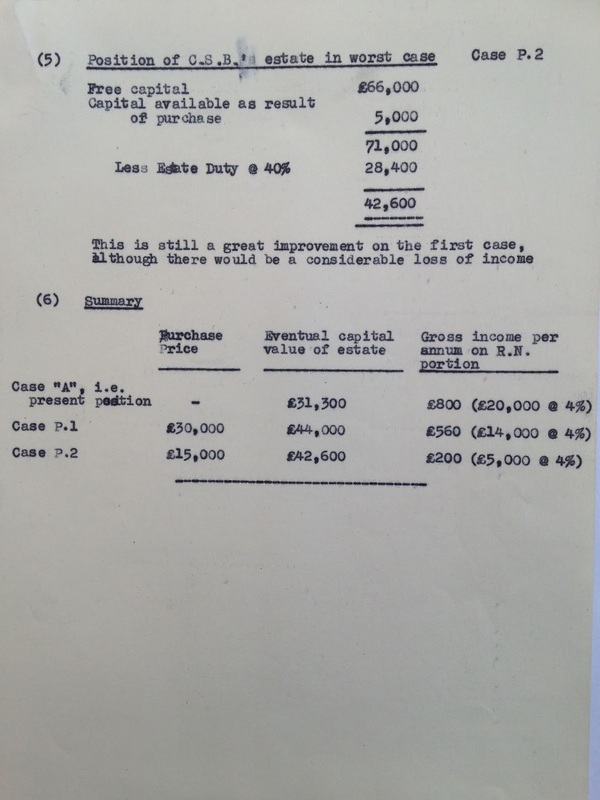 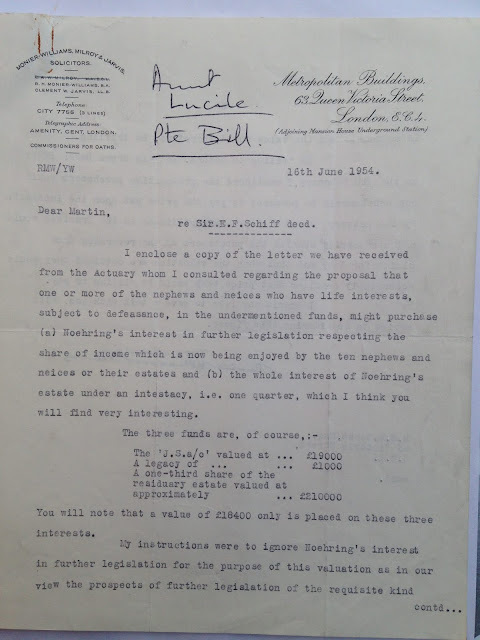 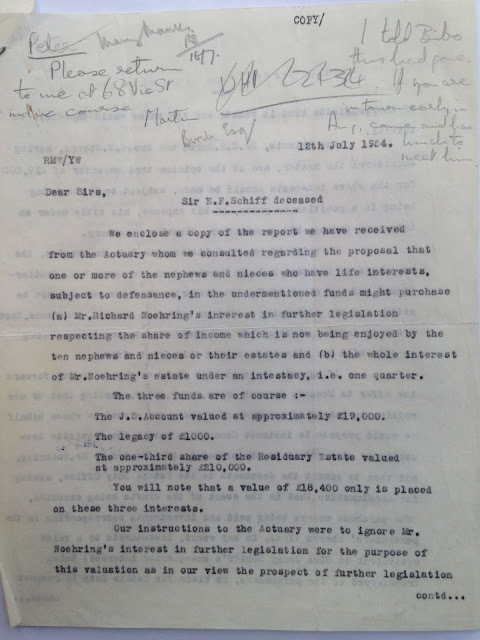 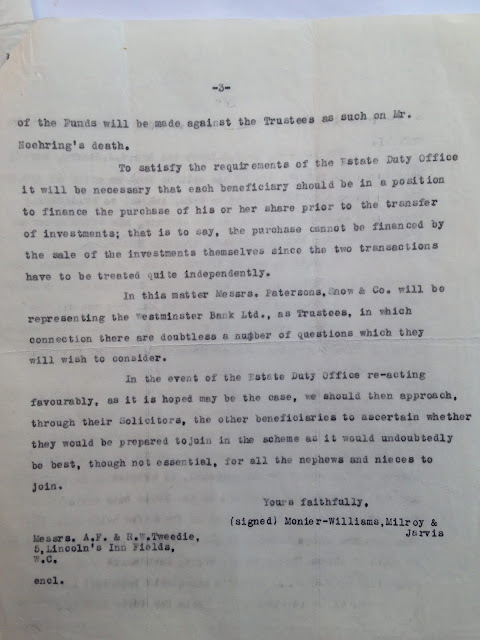 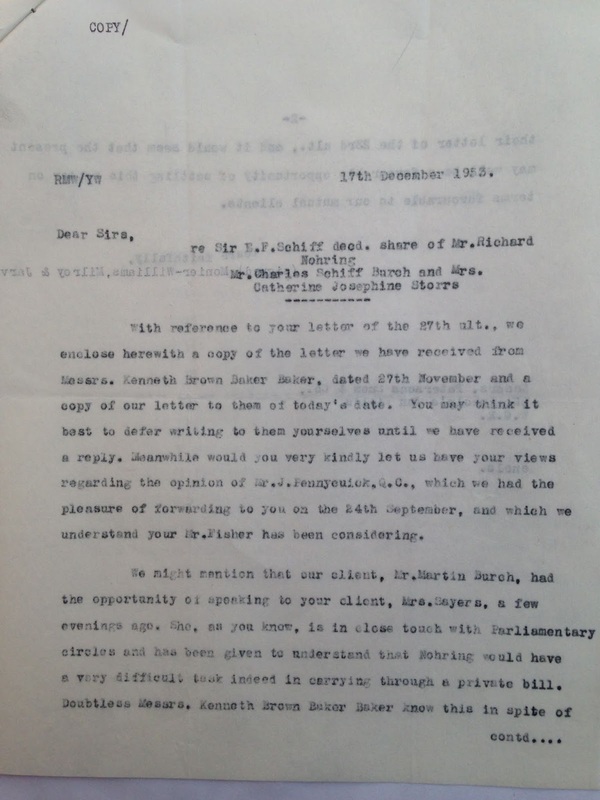 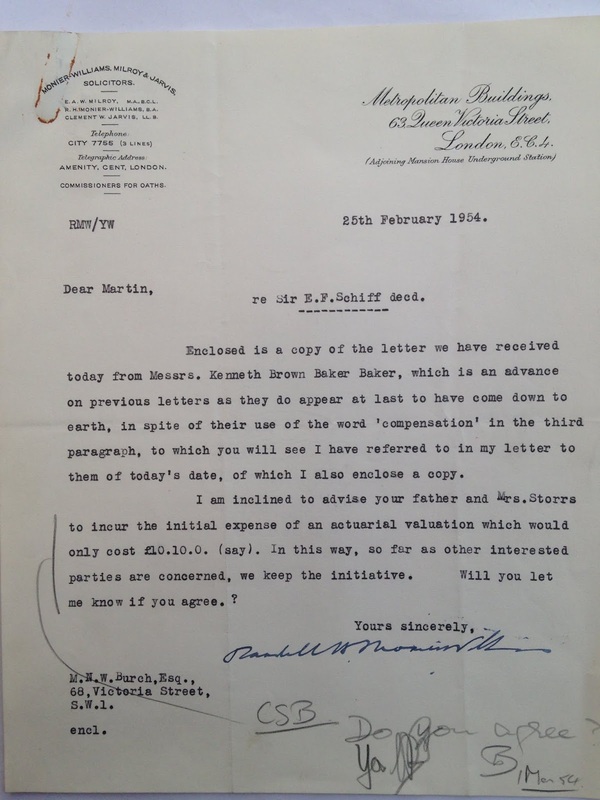 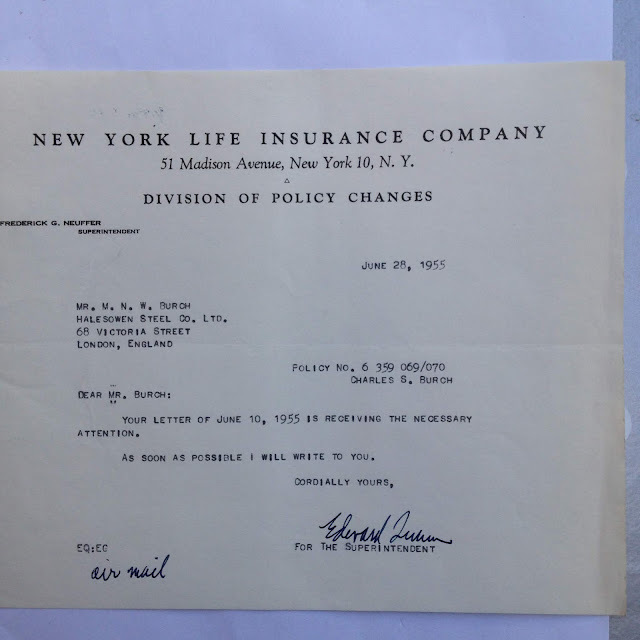 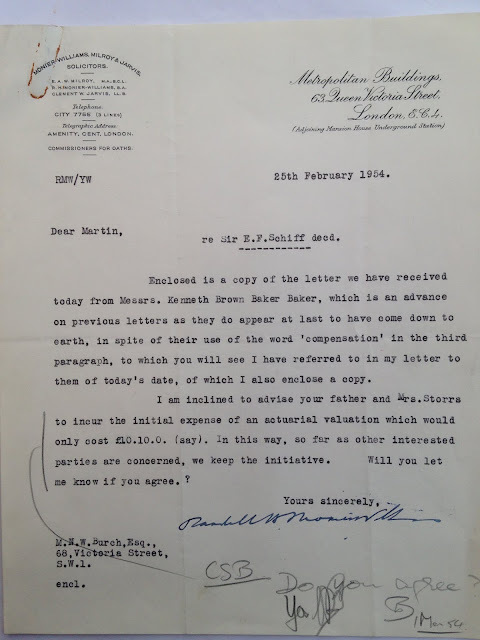 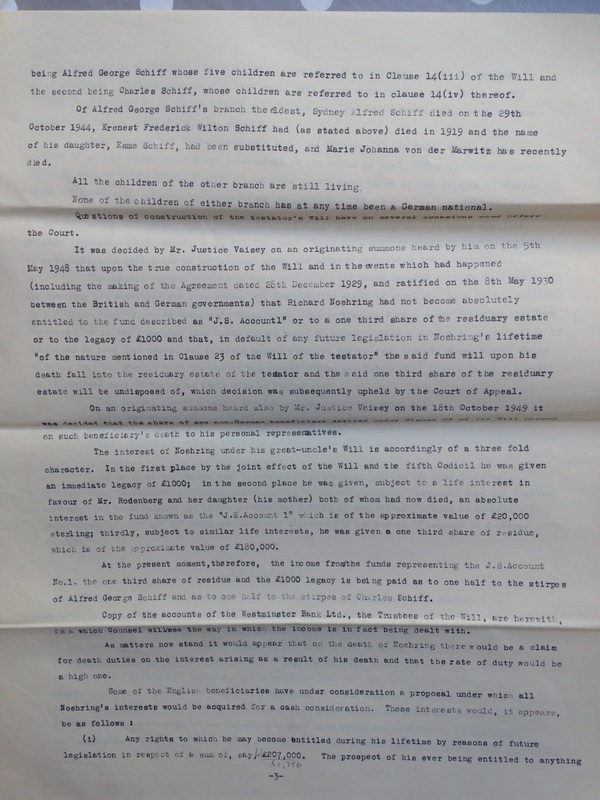 Letter to Martin Burch re life insurance. 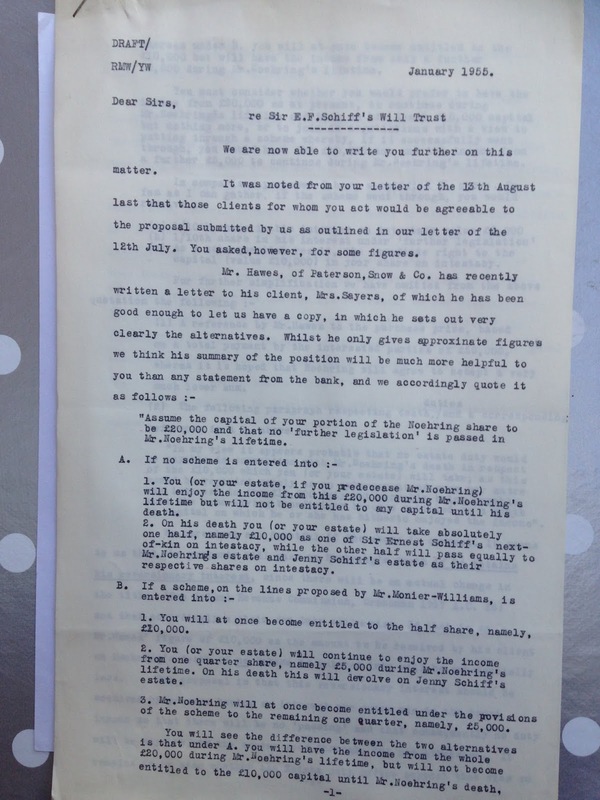 28th June 1955. 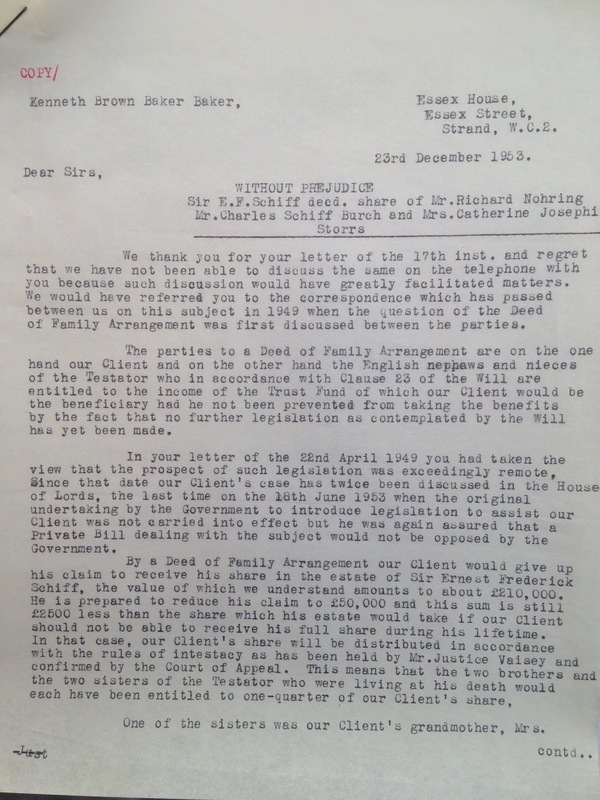 Solicitor for Richard Nöhring to solicitor for Burch family. 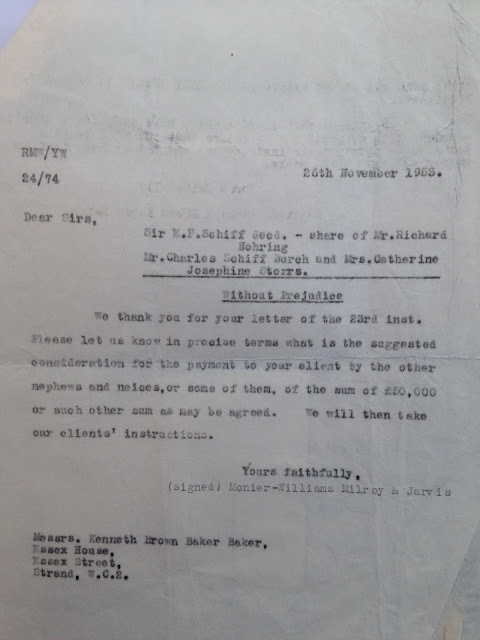 9th November 1954. 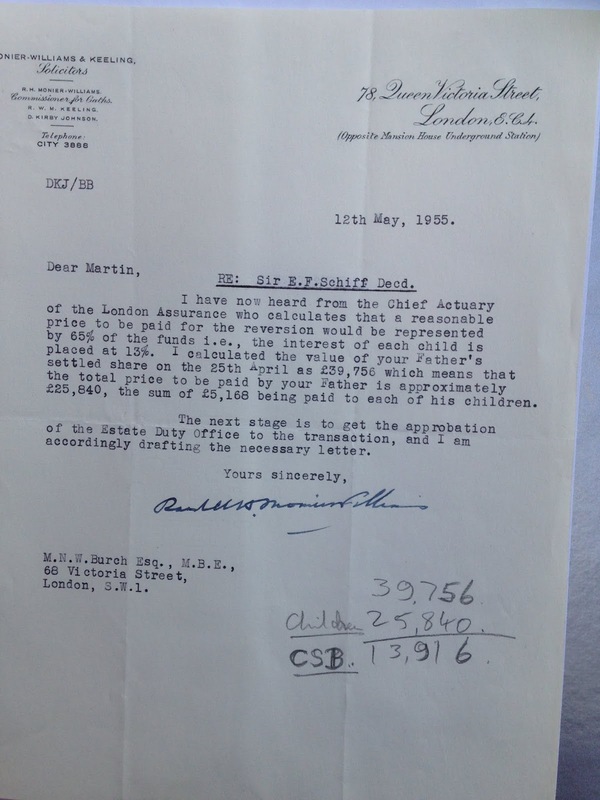 Solicitor to Martin Burch. 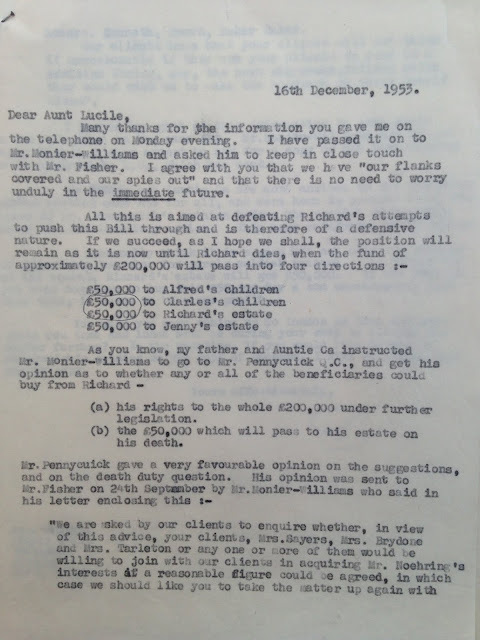 25th November 1955. 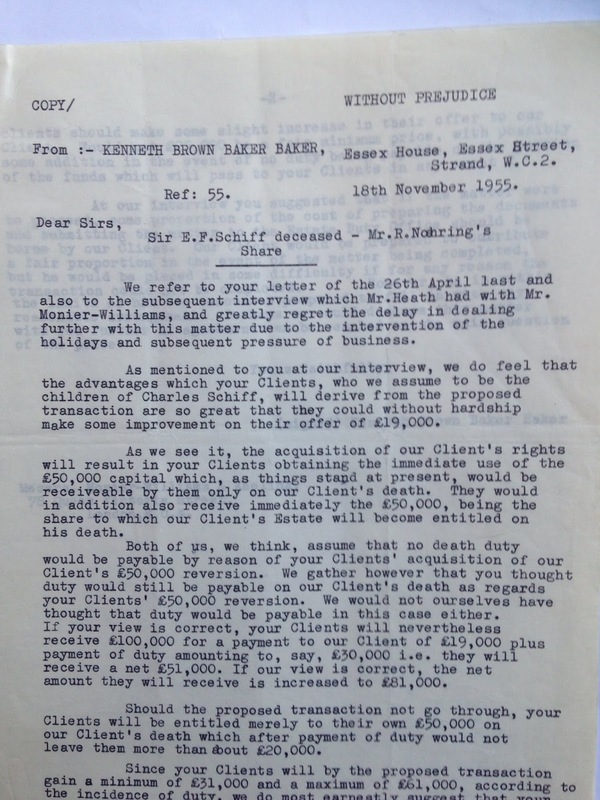 Solicitor for Richard Nöhring to solicitor for Burch family. 18th November 1955. Martin Burch to solicitor. 2nd December 1955.